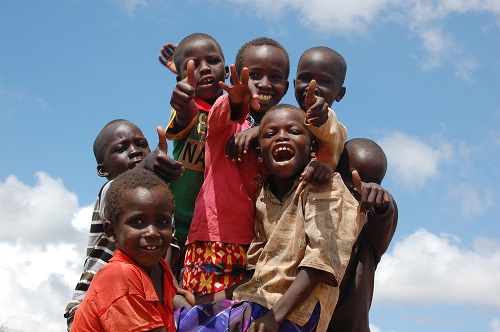 Every June, Well Aware travels to east Africa with a special group of people. We call them “Rafikis” (Swahili for friends). These wonderful people are all Well Aware Village Members or long time donors and have taken this big step to join our journey overseas to see, first-hand, the work that we do. 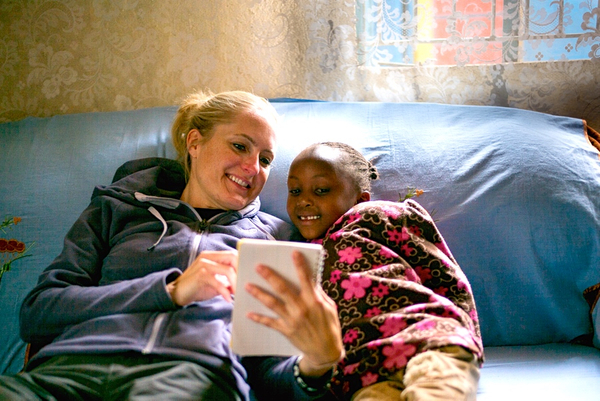 The Rafiki trips are very memorable, often exhausting, and always inspiring. Each new traveler plays a role in our work while we are there, and the friendships made in the field are infinite. 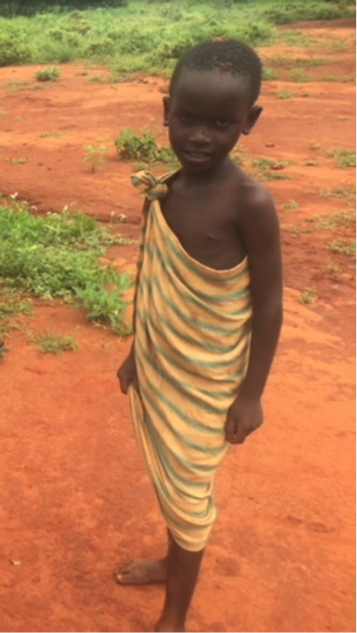 Samoyan is a ten-year- old boy from Salaita, a village in Kenya. 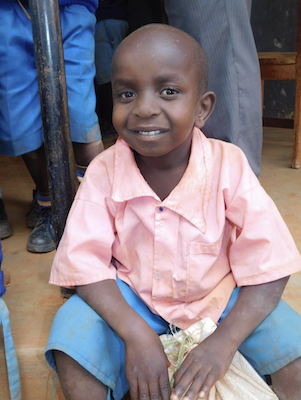 He is enrolled at Salaita Primary School, the only school in this region. 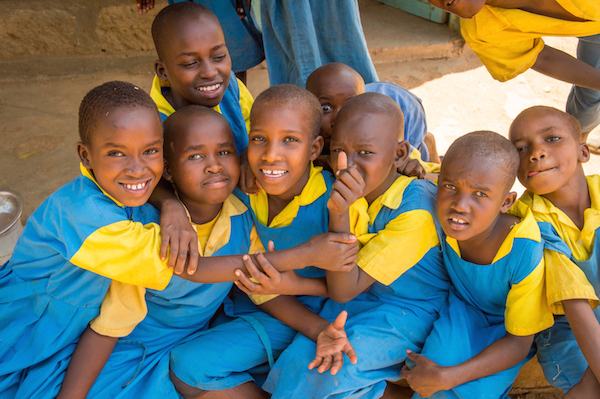 This school is excited to soon house a borehole which will serve as the main water source for the entire village! This year, Well Aware hosted our most successful Shower Strike to date. We were able to raise over 30% more than our last record year with our 240 Shower Strikers and 49 teams. 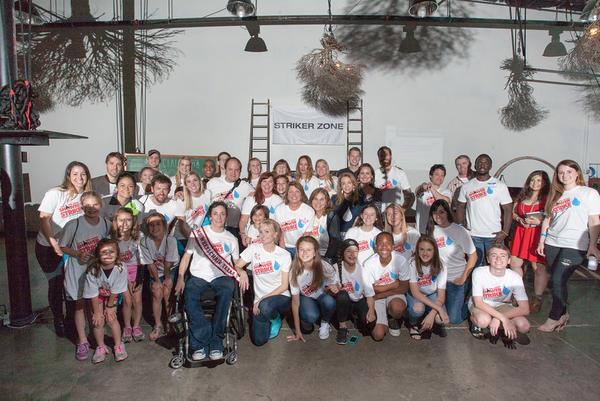 The dedication of these amazing people allowed us to impact the lives of more than 24,000 people. 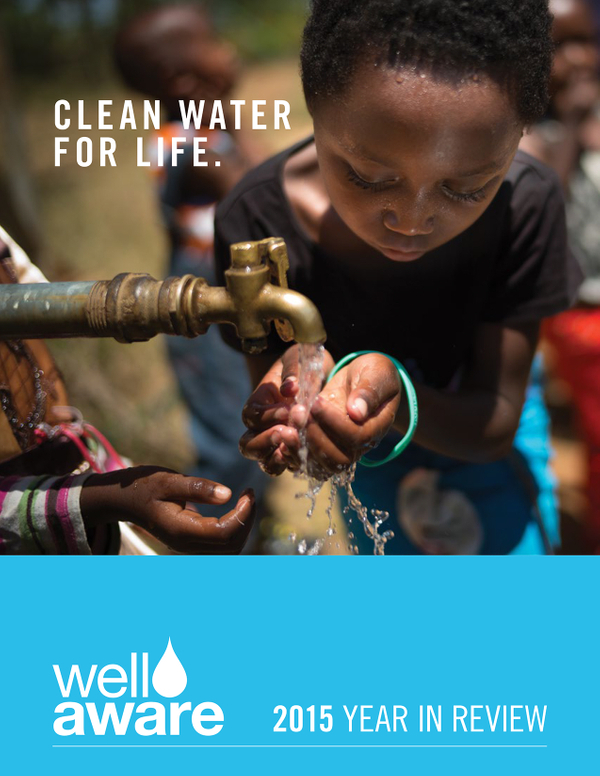 Starting today, 24,000 more people in our world will gain access to clean, drinkable water. I woke up this morning at 8am. My hair, feeling greasy from a previous day’s work, needed cleaning. So, I turned on the shower faucet and cranked up the heat, as I prefer my showers on the “scorching” side. I let the hot water run as I washed my hair, scrubbed my body, and shaved my legs. Showering, for me, is meditative. In those ten minutes, I love the feeling of sensing my skin go from greasy to silky smooth. As I let the water hit my face, washing off my exfoliating soap, I feel as though I could stay there forever. Celebrating International Women’s day is a tradition that dates back to 1909. The day originates from women fighting for better working conditions in the clothing industry, in return bringing needed attention to the women’s suffrage movement. In 1975, March 8th was chosen as the designated day to celebrate all women from all over the world (UN)! At Well Aware, commemorating this day is especially special and this International Women’s Day we invite you to celebrate with us! Meet Mwende and her classmates. They are pupils of Kiliku primary school ECD class. I found them playing in the school field past their home time and I was curious of the reasons. After bribing them with a few photos and videos, we became best of friends bubbling away about their school. I admit that I did not watch Super Bowl LII last night, but I did start receiving messages about one of the advertisements that played during the game shortly after it aired. 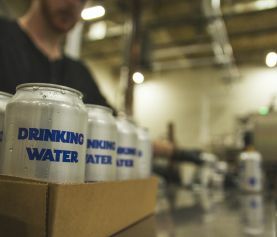 I’ve followed the work of Water.org over the years and was aware of their partnership with Stella Artois, but their new campaign and messaging leave me with some questions and concerns (as it does with many of you, based on my inbox). With a shy smile *Atieno approaches our tent quietly. Behind her are a couple more children all eager to see what the big trucks bring the community of Got Isimbo, in Ugunja, Kenya. 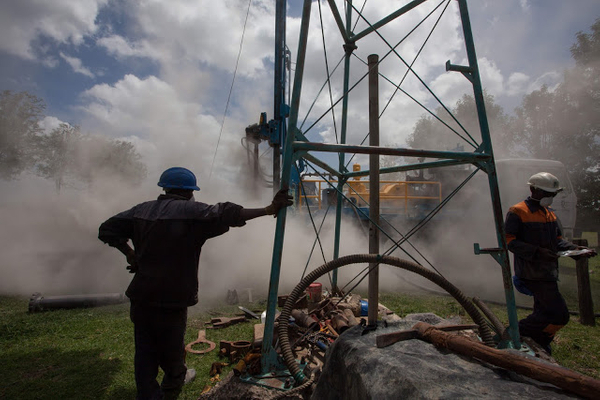 We are here for drilling - a well in the making. The first for myself as well! I am as excited as the children watching stem after stem dash in and out of springs of muddy water. Kioko, a three-year-old boy in Misuuni, Machakos Kenya, enjoys a warm soda in the eastern heat. At the function, there was more soda than drinking water, probably owing to the high cost of bottled water and the scarcity of drinking water in the region. The nearest well is a couple kilometers away and does not serve the entire community... The situation gets worse: In homes where money is a problem, children are forced to take tea instead of water throughout the day. 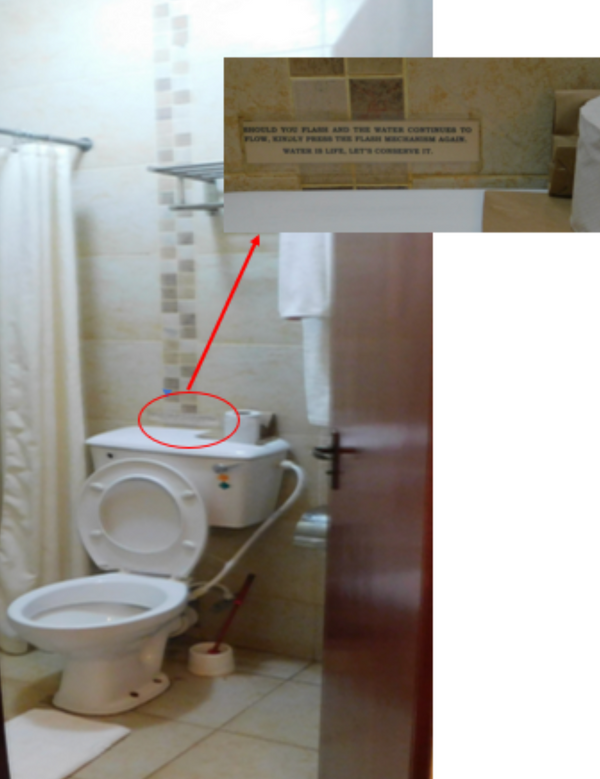 If not for the wrong placement of tissue paper, I definitely would have missed it: A printed little strip in Arial black and neatly pasted on the toilet wall just above the toilet tank, it matches with the tiles on the wall so you cannot tell one from the other. There is a green and a yellow pentagon sticker just below the flash handle, someone not keen would easily dismiss this for decoration; or perhaps the forgotten measuring marks of the plumber. The little strip explains the dots, completing the puzzle. 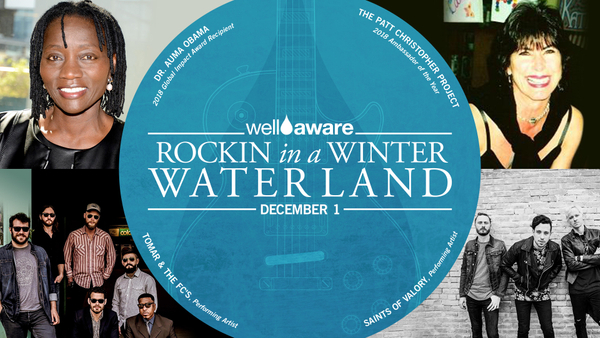 Laughter, music, dancing, celebration, and enough money raised to provide more than 6,000 people clean water for a decades to come- this year’s Rockin In A Winter Waterland event had it all. 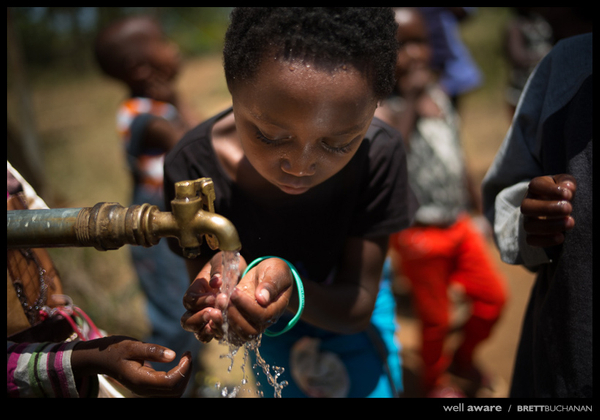 On December 9th 2017, nearly 200 of Well Aware’s closest friends, family and supporters came together to celebrate the power of clean water to transform lives. 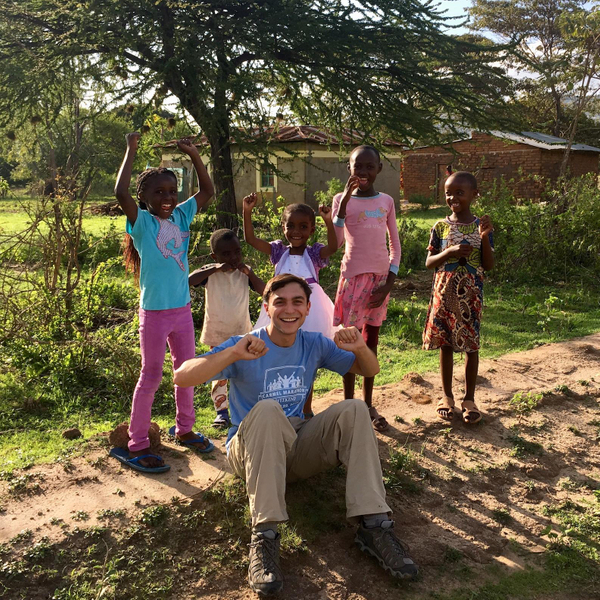 I’m an unlikely executive director of a nonprofit organization that provides clean water to east Africa. Even though I’m still paying off my debt to law school, I’m not exactly using that degree. Nor am I using my experience in financial compliance or lobbying. But, I am doing something that changed my life and continues to change the lives of many others on the other side of the world. I’m relaxing in the London airport reflecting on my trip to kenya. 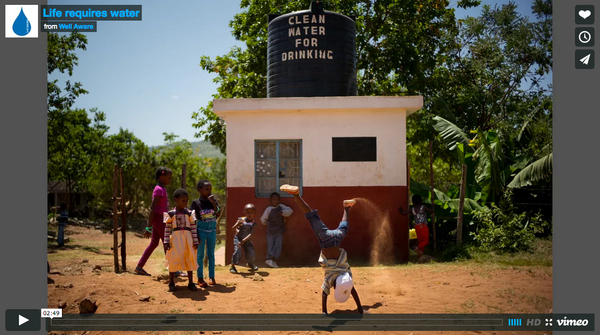 This gave me the opportunity to really show the difference clean water makes. After being a typical tourist and seeing some baby elephants, we visited Tania. An orphanage that is on the top of the hills that overlooks all of the city and mountains. On the evening of August 28th, three days after Harvey’s landfall on Texas, I was sitting at my computer watching the devastation unfold. My mind was spinning about what the Well Aware team could possibly do to help, and my heart hurt knowing friends and team members were in danger. Then, an email from Toyota showed up in my inbox. I came across Well Aware and the Water Walk Event during my personal research online. When I read more on the Water Walk, I couldn't stop thinking of how an event like that would make a positive impact on my company and on the world. So, through a leap of faith, I asked to put on the event for my company, and I was fortunate enough to receive such a welcoming "yes" by my coworkers. "...I believe that we can make a difference together"
Rather than being showered with gifts, Andy has decided to donate his birthday to African communities in need by creating a fundraiser on Facebook. He's set a goal of reaching $1,000 which seems quite feasible - in the first day alone managed to reach almost $200! Thank you for helping us make Shower Strike history! Because of the amazing hard work of our #ShowerStriker participants, their incredible communities, and our generous donors, ShowerStrike 2017surpassed our goal of $175,000. 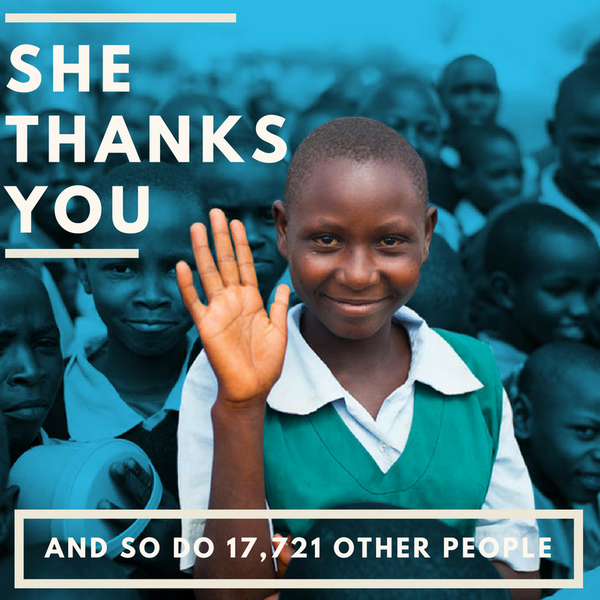 We are now able to provide life saving, clean water to 17,722 people. 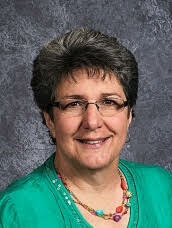 Thank you for everything that you have done to help make that possible! All donations will be matched today only. Because of the generosity of our matching sponsors, every dollar you donate today- up to $20,000- will be doubled. That means your $20 donation becomes $40, your $50 donation becomes $100--- twice as many people, twice as many lives will be impacted because of you. 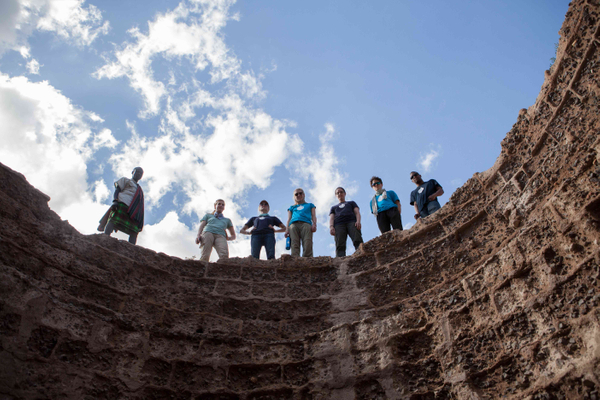 "While the students are raising money for Well Aware, they are also learning about places they have never heard of and people and circumstances they don’t know exist." 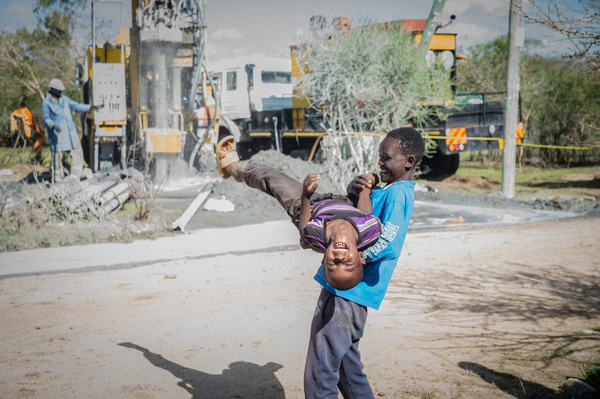 This time of year, we share a lot of stories about the lives we impact through our wells and water systems in East Africa. Q: What do Scarlett Johansson, Justin Trudeau and Well Aware have in common? A: They will be featured at the Women in the World Summit this week at Lincoln Center in NYC! The First Annual Golf Tournament was a Great Success! Thank you so much for participating in our first annual golf tournament and benefit at The Hills of Lakeway Country Club ! The event was a great success! We had 20 amazing teams,10 generous sponsors, and dozens of volunteers join us on Monday, together raising over $18,000! That is enough money to fund a new water system that will bring clean water to 2,500 people for decades to come. 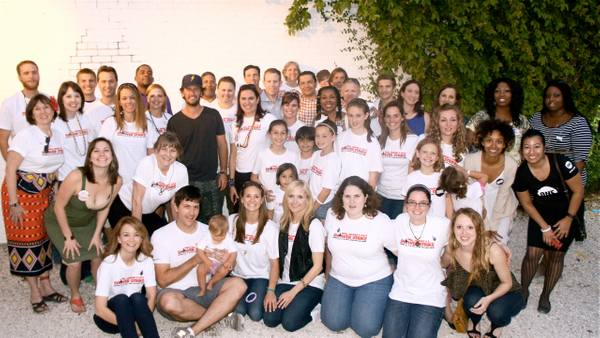 Thank You for Participating in Amplify Austin Donation Day! 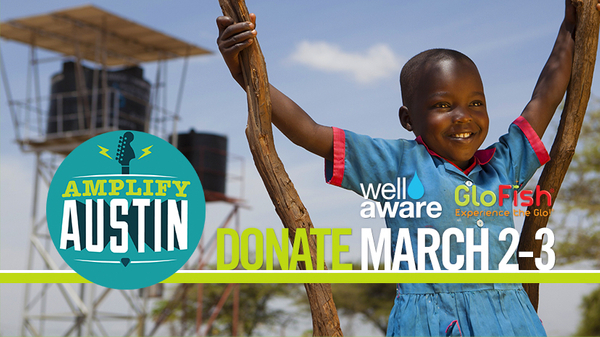 Thank you so much for participating in Amplify Austin and donating to Well Aware! 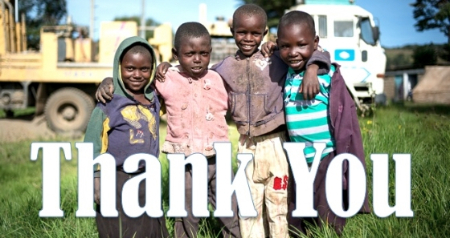 We are so honored that you chose to support the work that Well Aware does to build wells and water systems in Africa. Because of our generous partnership with GloFish®, we have been able to double every dollar you donated- meaning that even more life-saving clean water is available to those who need it most. Amplify Austin is an online marketplace that connects with and inspires the people of Austin to make a difference in their community by connecting them with the causes they're passionate about. On March 2-3, they will host their annual Amplify Austin Day to celebrate and support nonprofits in Central Texas. Happy early Valentine's Day! This is a great time of year to remember how important love is in our lives. The love we get to see every day from you and from the communities with whom we partner is enough to be the fuel that powers our work. 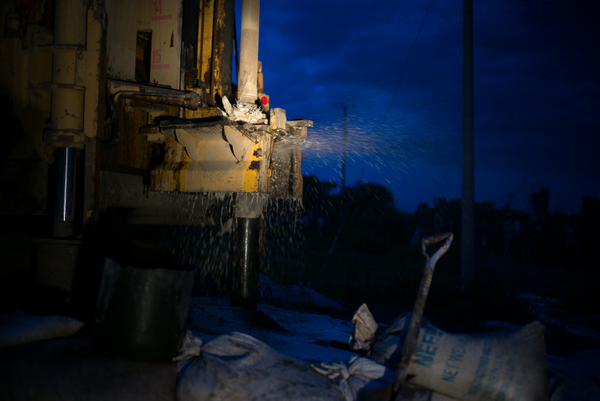 And, we're honored to be the machine you trust to change lives with clean water. 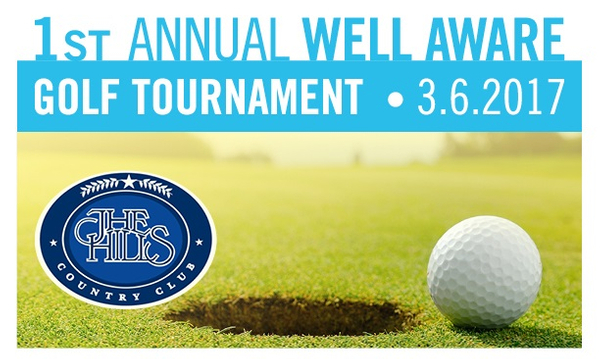 We are thrilled to announce that we are partnering with The Hills of Lakeway Country Club to host our first annual golf tournament and benefit on Monday, March 6th. 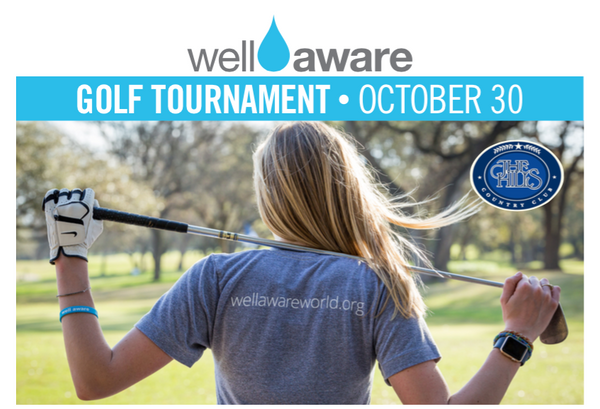 This event is guaranteed to be a great way to de-stress, get outdoors, hang out with great folks, and help bring clean water for life to more people, all at the same time. 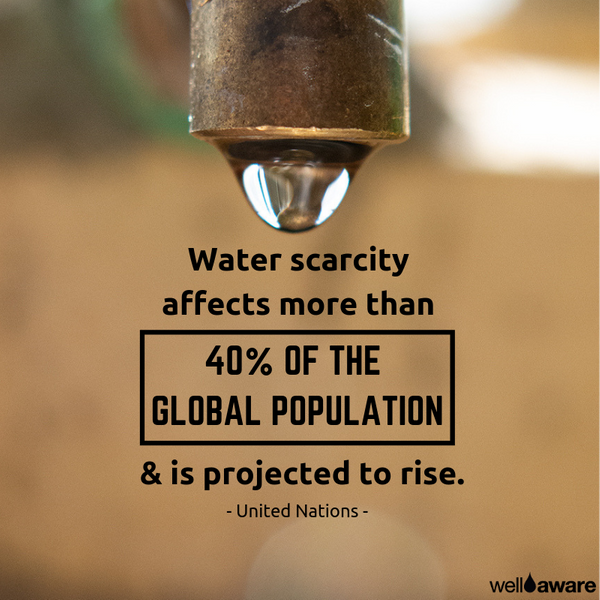 By joining our event, you will be part of funding an entire water system! 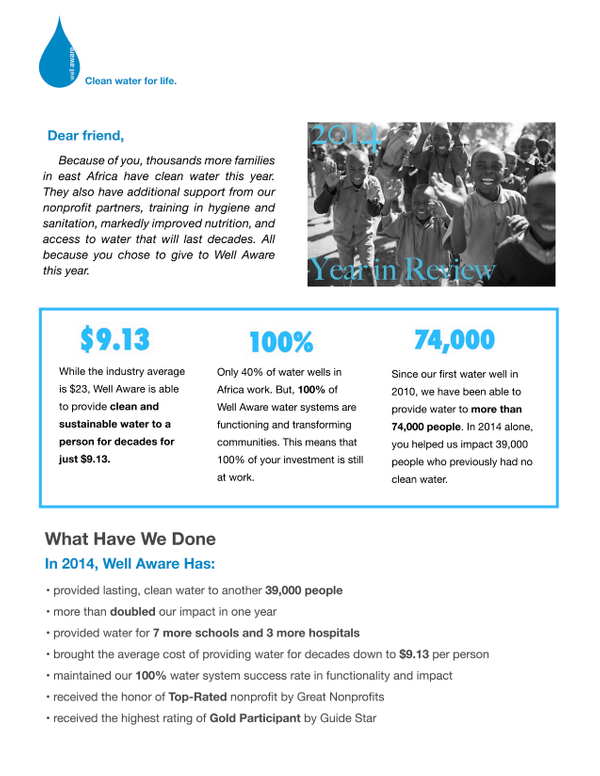 Well Aware's Brand Partners are companies whom are donating a percentage of profits from a product or service to our clean water systems. With a growing number of businesses supporting us in this way, these partners are making a big difference for our fundraising. A click from you can help Well Aware win a $10.000 grant. With just a couple clicks, you can help us become Culture Map's new charity partner for 2017 and win a $10,000 grant for awareness and marketing. We have already made the 8 finalists, and only now need your vote! It just takes a click here. We can each vote every day (once/day) until January 18th. Double your donation with a donor match this month! The Holidays are a time of giving, and we have some very special ways to provide more clean water to new communities through Well Aware. 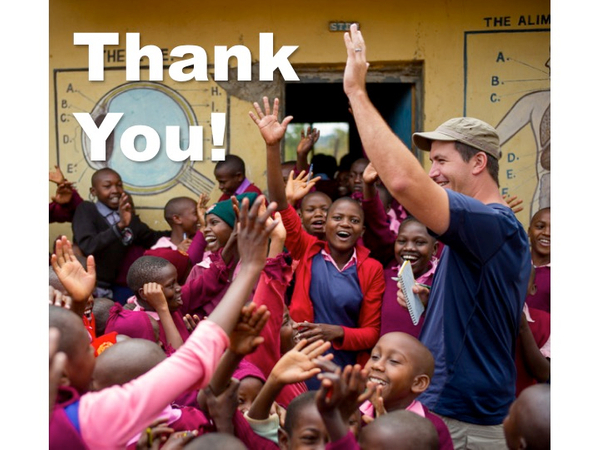 And, thanks to an amazing donor, all donations will be matched through December 31st! Please check out all of the fun and inspirational ways you can give back this season below. Your gift - in any form and any amount - means a new life for people who need only a source of clean water to thrive. 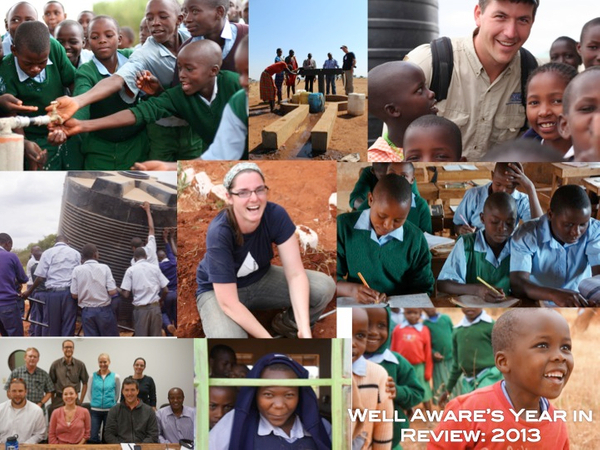 With your support, 2016 has been a record-setting year for Well Aware, and we are excited to announce our 2016 Year in Review. Explore our end of year review here to learn how Well Aware has grown in 2016. In the PDF download below, you will find a letter from Sarah, impact statistics, a project map, reviews of our work, and development highlights. Happy Holidays! We love this time of the year. It's very busy in the Well Aware office finishing up project work and diving into our final fundraising campaign of the year. And there's so much to be grateful for as we look back on 2016. We're excited to share these updates with you! “Well Aware World” directed by Brad Feeser was chosen to premier in the Documentary Short film category at the Lone Star Film Festival. 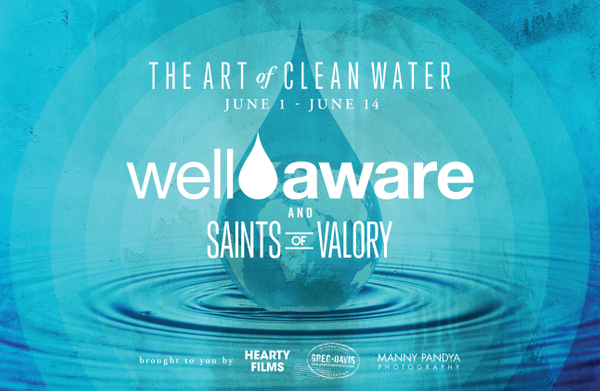 The short film was made in partnership with Well Aware, a 501(c)3 nonprofit organization headquartered in Austin, Texas that provides innovative and sustainable solutions to water scarcity and contamination in Africa. 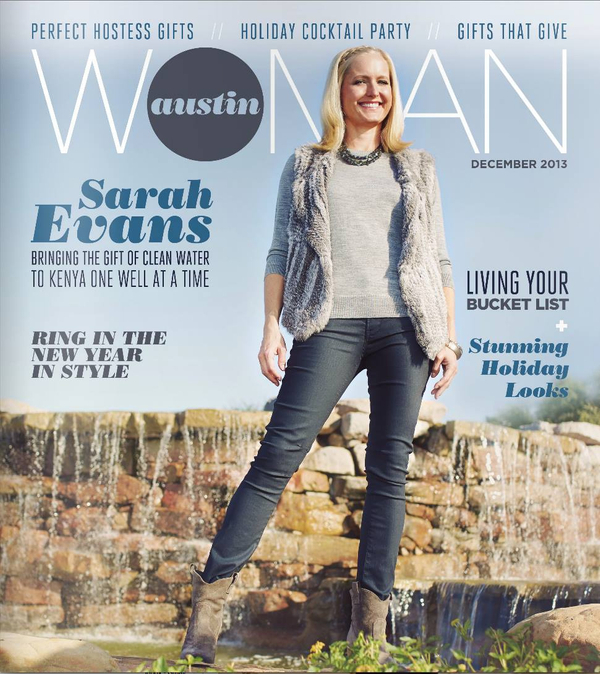 When a friend recruited Sarah Evans to raise money to buy livestock for a village in Kenya, she did some research. She learned that unsafe drinking water was to blame for the deaths of residents’ goats and cows — and for other problems in the community. Welcome to the Fall edition of our Newsletter! We're excited to share upcoming events and supporter opportunities, as well as some truly appreciated recognitions for our work. 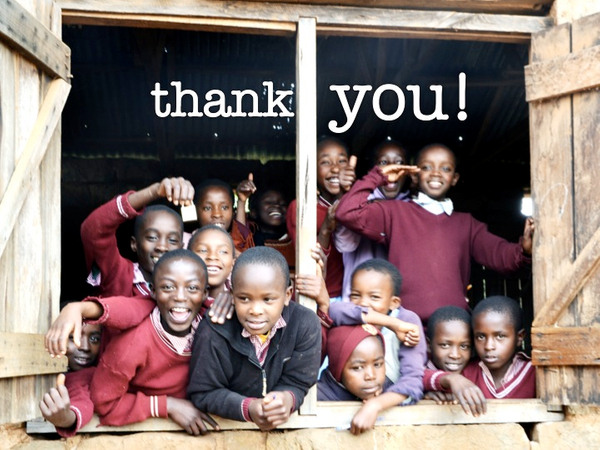 We are deeply thankful for the support you are providing through lasting access to clean water. It’s a wrap! Our annual Village Match Campaign ended last Friday, raising a total of $18,800 to provide an additional 1,880 people with clean water for decades. 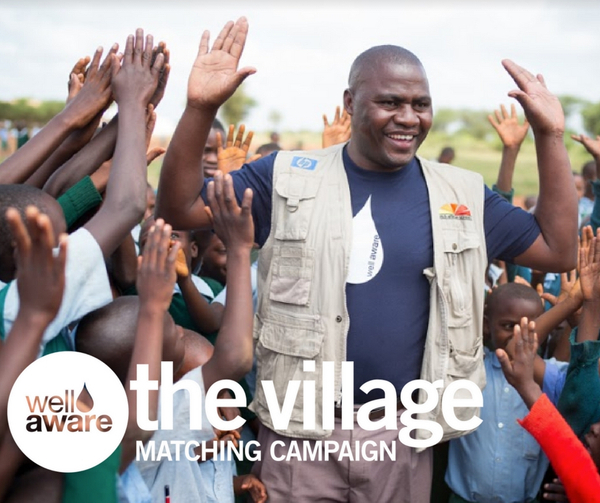 Today begins the launch of our two week Village Match campaign - now's the time to join our Village and become a monthly donor! What's the Village? The Village is comprised of monthly donors whose contributions and focused purpose help raise Well Aware to a new level with far greater reach. 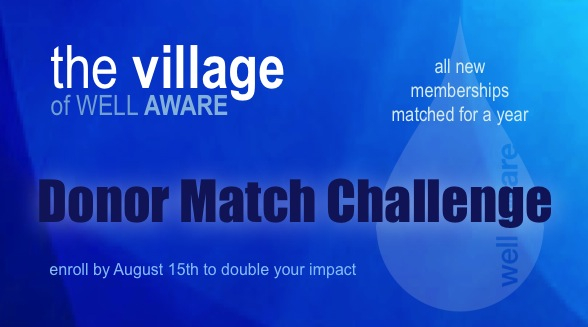 The Village Match is an annual campaign to grow our Village by adding new members. Starting September 19th, a generous donor is MATCHING all new member donations through the end of the month up to $10,000! This year, we're asking our current Village Members to accept the challenge on our new platform, and help us expand our Village by inviting at least one new member. 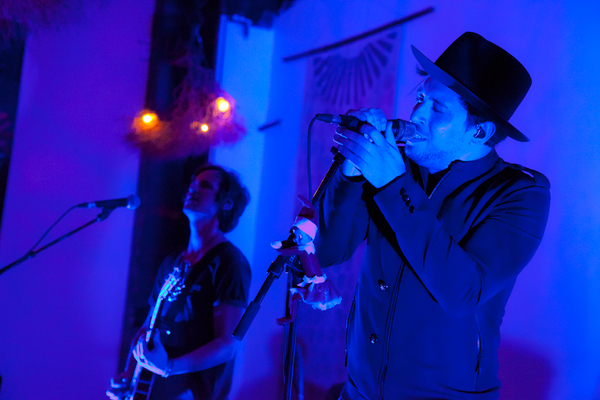 On August 27th, Well Aware hosted a beautiful evening of music, film, photography, delicious food and good friends to raise funds and awareness for our clean water projects. 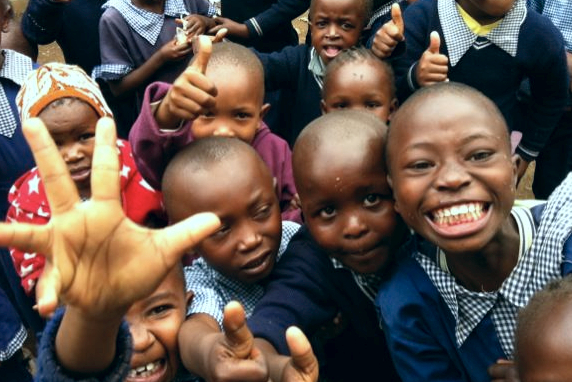 With your support, we raised over $30,000 for clean water projects! You've helped us be able to provide more than 3,000 people with lasting water -- a foundation for their community dreams to come true. And, it was really fun! 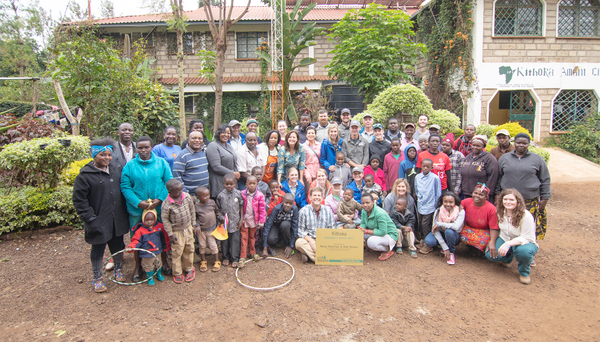 It’s been just a few days since we returned from our most recent trip to Kenya. I flew away with a heavy heart, wistful to leave our communities behind yet again. The leaving doesn’t get easier, but, with every trip, it does become more meaningful, more empowering. This trip, in particular, has been a journey I’m certain none of us will ever forget. Question: What do a rock band, a cinematographer, a National Geographic Creative photographer, a former motorcycle PR agent and water wells all have in common? 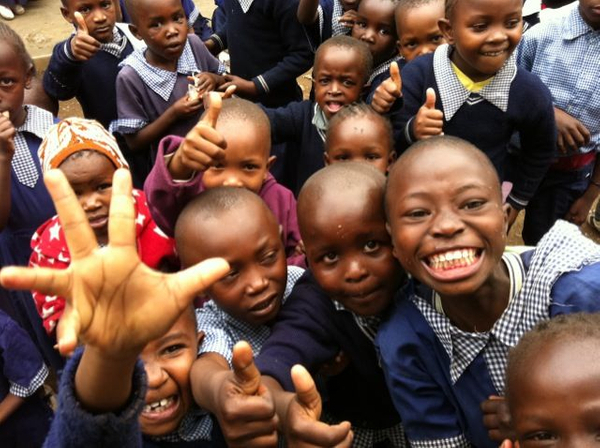 Answer: They will all be in Kenya with Well Aware next week! The Well Aware team is deeply honored to announce that Austin's "music scene darling" joins our Advisory Council. 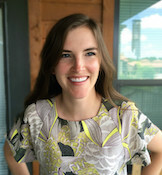 Erin Ivey has been a long-standing supporter of our clean water efforts and awareness, and she is now serving as an advisor to our Executive Director on matters of community awareness, event strategy, project management and constituent cultivation. 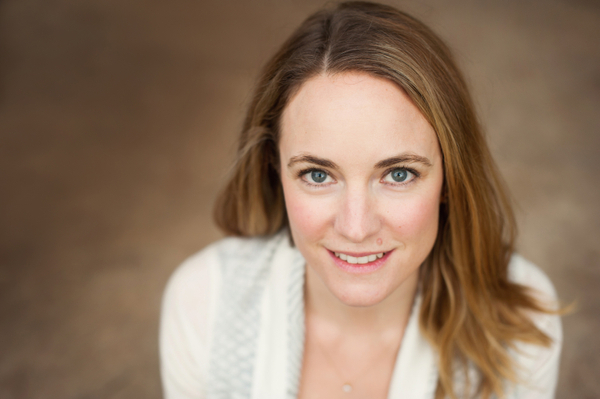 We are overjoyed to have Erin's support and ambassadorship for our cause and the communities we serve. 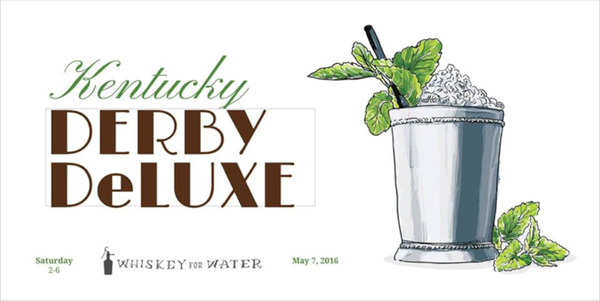 Our favorite guys over at Whiskey for Water are back – this time with a derby-themed event full of mint juleps, fancy hats, seersucker suits, and generous donors. 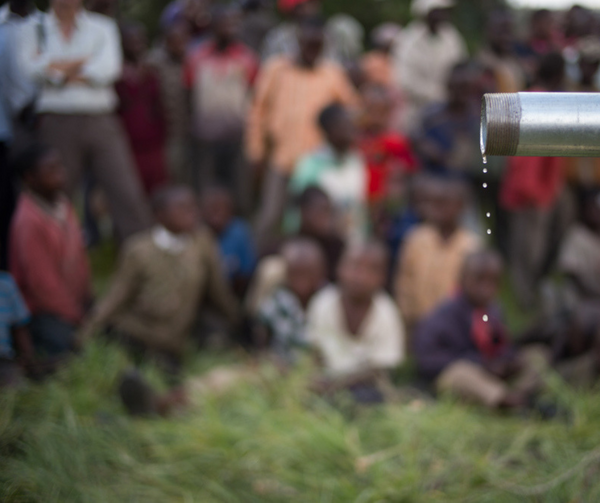 Because of your support and generosity, we will be able to bring water to another 14,238 people (at least). We raised more than $143,000 last week, and this is the most we have ever raised through Shower Strike. You helped make it happen! Anyone can still donate to Shower Strike through May 31st. Every $10 means clean water for someone for decades. First and foremost, thank you. Because of your support, we are already having a great year replete with exciting new projects and new partnerships. We're also pretty fired up about our annual Shower Strike campaign. Registration is now open, and we begin in just four days! 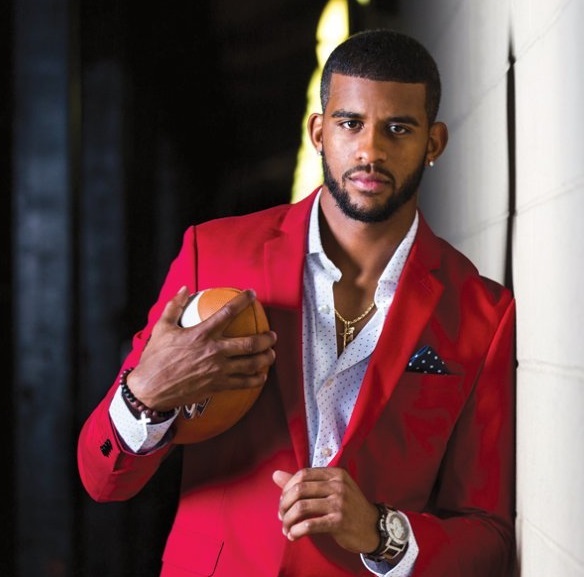 Dallas Cowboys Devin Street joins the Well Aware Shower Strike! Welcome to the Shower Strike, Devin! 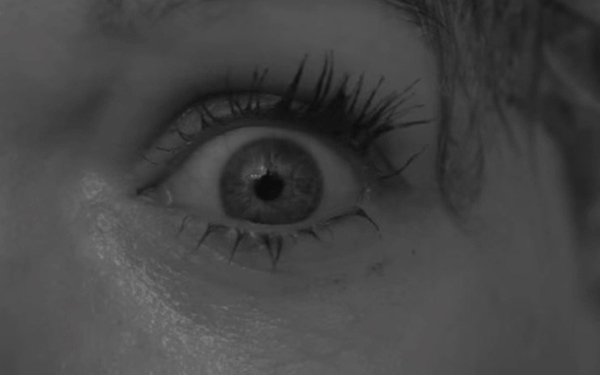 Actress Mary Elizabeth Ellis is Psycho for Shower Strike! click image to playMary Elizabeth Ellis has joined our global water strike and is vowing not to take a shower until enough funds are raised to build water systems for impoverished communities in Kenya through Well Aware! 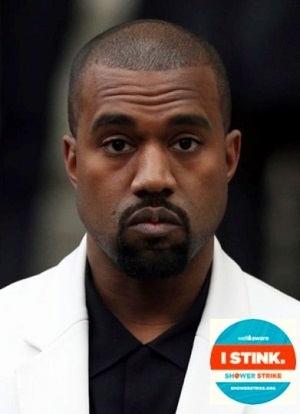 Kanye loves when Kanye goes on Shower Strike. Some of you were expecting it, weren't you? We LOVE April Fools Day and have ourselves a giggle with a Shower Strike joke every year. Thank you for accepting our shenanigans and for loving us anyway. Now that we have your attention, we do want to encourage you to join the many, many others (except Kanye) who have already signed up for Shower Strike 2016. #ShowerStrike Registration is NOW OPEN! Kung Fu Saloon Hosts Well Aware for Give Back Night! On the night of Tuesday, March 1st, Austinites came out to Kung Fu Saloon at 510 Rio Grande Ave to enjoy themselves while supporting a local nonprofit, Well Aware. 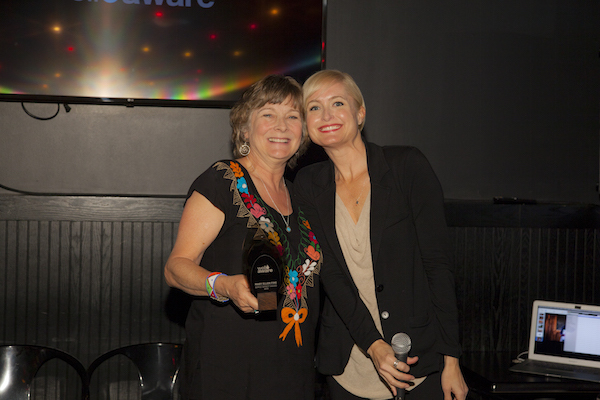 Well Aware is a 501(c)3 organization, headquartered out of Austin. 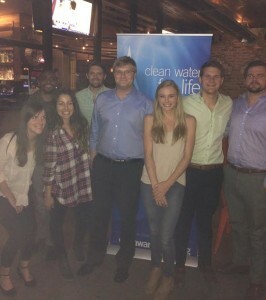 The organization’s night at Kung Fu Saloon was well-deserved as every day, they work to provide innovative and sustainable solutions to water scarcity and contamination in Africa. 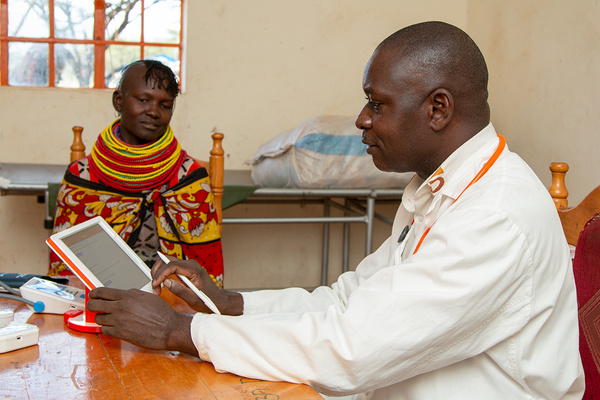 They fund and personally implement life-saving systems to drive economic development and build self-sufficient communities in places like Ndabibi, Kenya. Michael & Travis's Race for Water! Michael & Travis reached out to Well Aware in 2015 and expressed interest in turning their Ironman 70.3 race into a fundraiser to help bring clean water for all. We are so thankful to Michael & Travis for their dedication. Read below to learn more about them! As a valued member of this special group, we want you to be the first to know how Well Aware is taking a big new step. As we have maintained a 100% project success rate and gained awareness and momentum, we are presented with an opportunity that could transform the water charity sector. Well Aware Donor Reflects On Latest Trip To Kenya With The Team! “It’s not going to be a ‘glam’ trip,” Sarah cautioned. “That’s perfect – I’m not a ‘glam’ person,” I replied. And so I crashed a working team trip to Kenya to review current projects, evaluate possible new projects, and meet with very important contacts, both new and long-term. After all, what better way to see what really happened with my donor dollar than to go with the working team to Kenya? 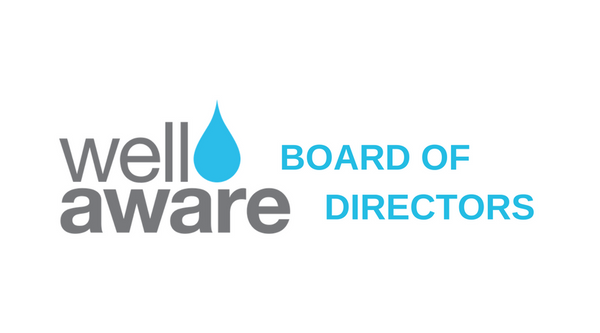 Well Aware Introduces Newest Board Member Paul Markovich! 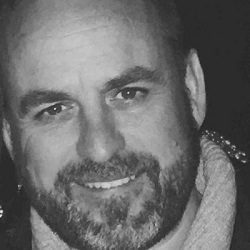 The Well Aware team is excited to announce Paul Markovich, a new member of the Well Aware Board. Paul's professional experience, and personal passion will help propel Well Aware to achieve our bold 2016 goals. Is this really winter? Here in Austin, it's hard to tell. What we do know for certain is that we are buzzing with excitement for the new year. 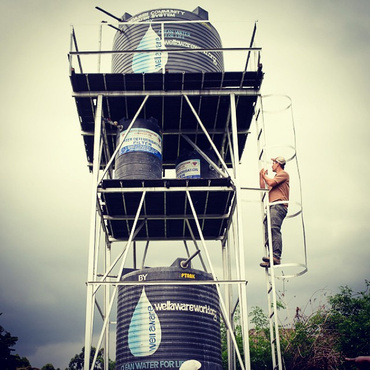 Having just returned from the field, our projects team is ready to get to work on many new community water projects! This edition of our newsletter also includes info on new partnerships and team members. Read below for our exciting updates and ways you can be a bigger part of our mission. Because of you, We did it! 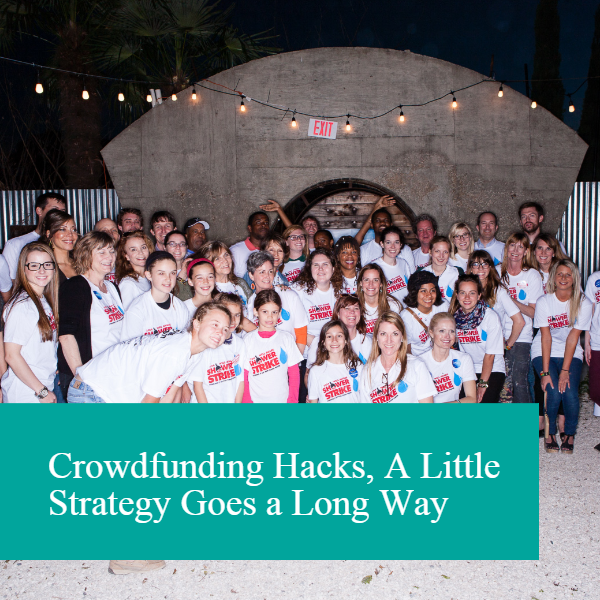 We met our $12,500 match in December because of you. 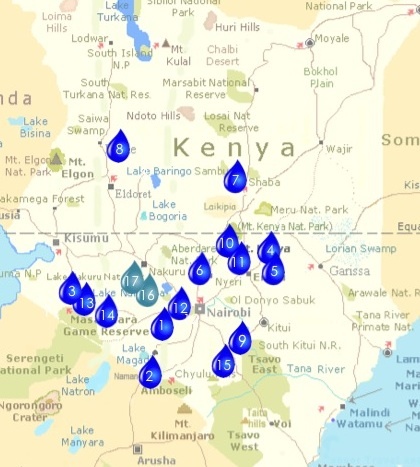 Now, our team is in Kenya turning it into clean water! 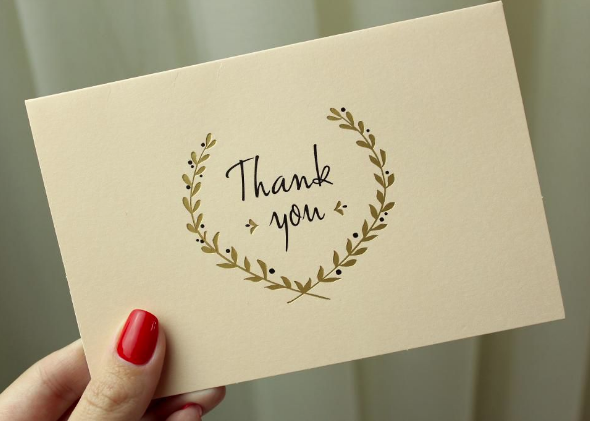 To everyone who donated to Well Aware in the month of December, please accept our heartfelt gratitude. 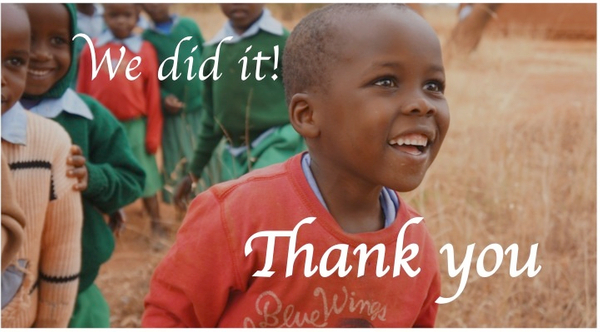 You helped us reach our goal, and it was matched 100%. 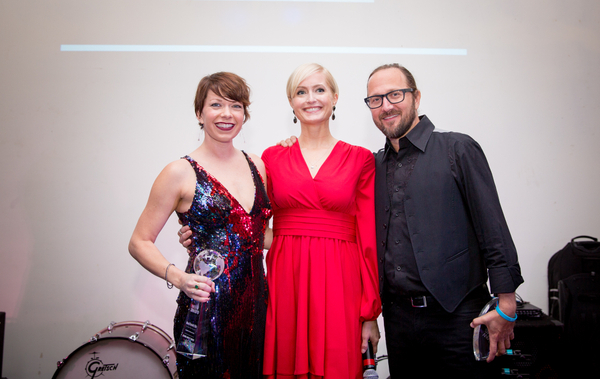 We are also deeply grateful to Chairty Owl, Wendy Robertson and Jason Barnes for providing this match and making 2015 our best year yet! 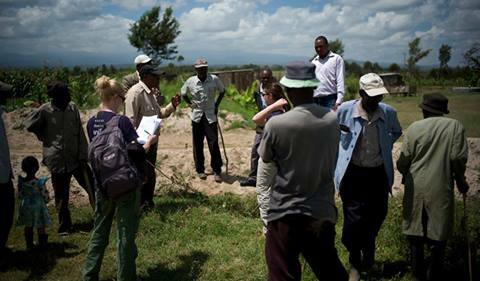 Representatives from our Projects Team are now in Kenya reviewing completed work, identifying new projects and formalizing exciting partnerships. See our slideshow of 2015 in summary here. We received incredible news last night. 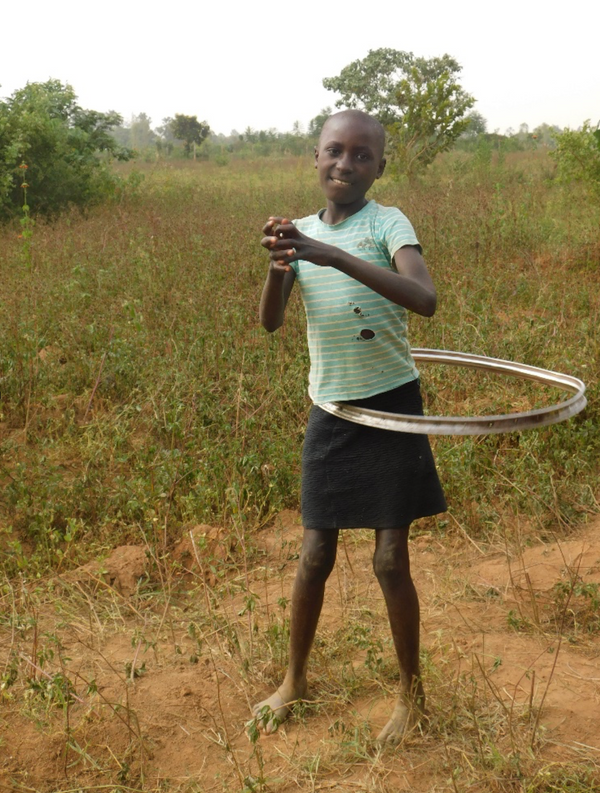 All donations to Well Aware through the end of the year will be matched! 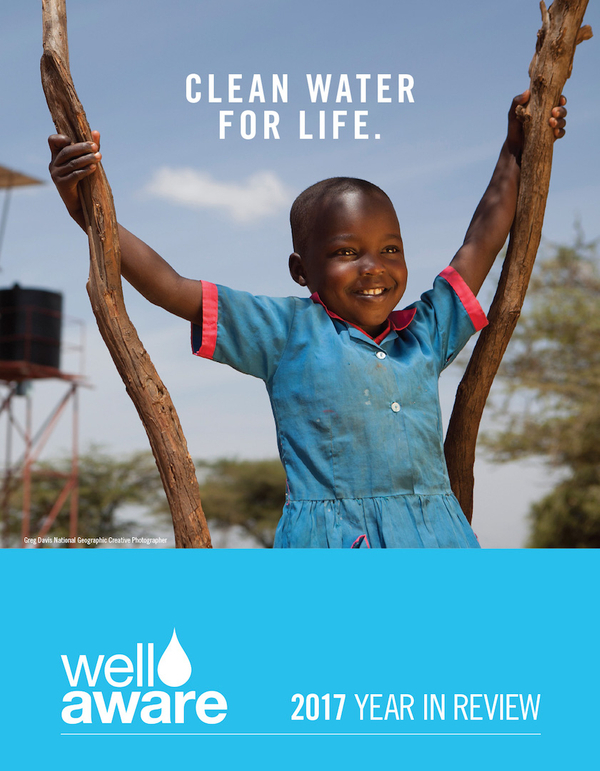 Thanks to our giving partner, CharityOwl, your gift in any amount will provide clean and lasting water to twice the number of people. 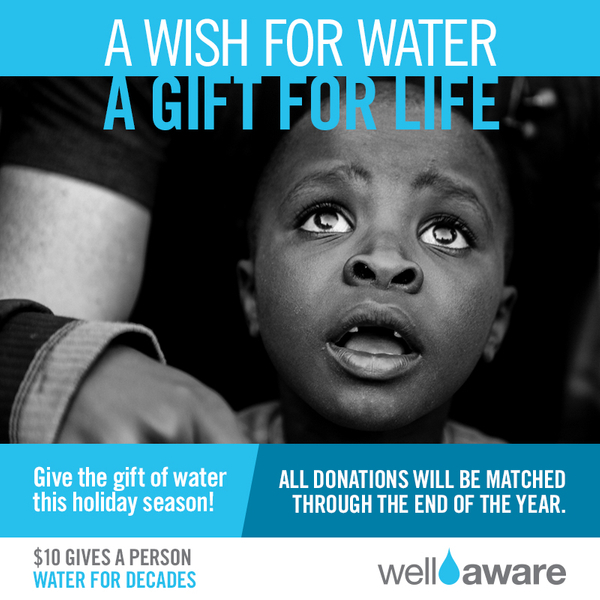 Every $10 will provide water to two people for life. Wow. What an incredible night! We had a packed house for our 2015 Holiday Concert, and we raised a lot of awareness and funding for our clean water work next year! We rarely use the word "epic", but that's what it was. The Saints of Valory were perfection, and the Austin High School Marching Band was phenomenal. When they played the song "Kids" together... there are no words. We were blown away. For those of you who have tickets, we can't wait to see you! To our friends who weren't able to RSVP this time- we promise we will have another amazing event in the very near future. We have lots of exciting things in store for 2016, and, we will keep you posted on every opportunity we have to be involved! 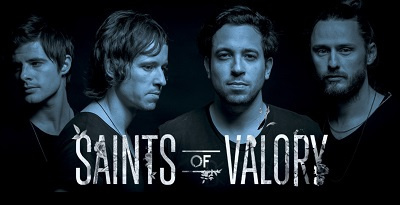 I had the honor of meeting the remarkable men of The Saints of Valory after I had just seen them perform for a group of 30 or so guests in an intimate music venue in Austin. I was dazzled by them. As well as being just incredibly talented musicians, they are brilliant performers. What if you could turn whiskey into water? Well you can, and we’re not talking about some hellish Puritan form of alchemy. 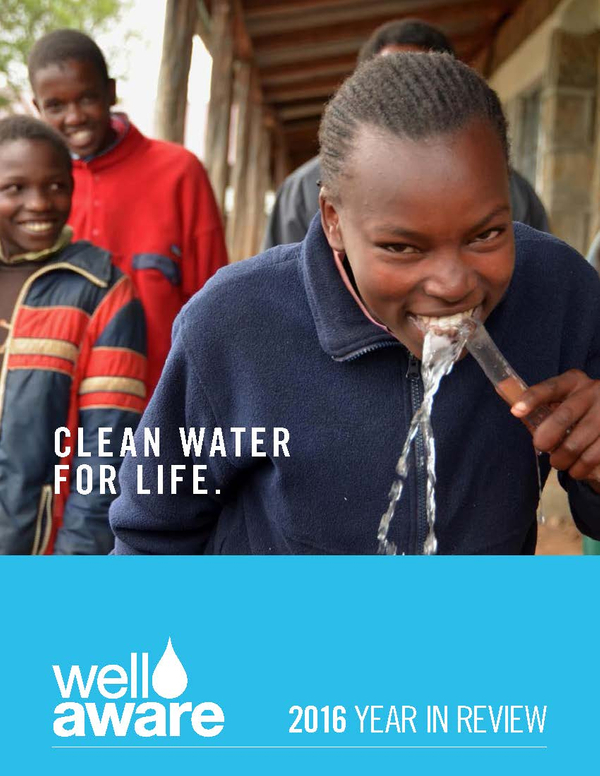 Whiskey for Water™ is a 501(c)(3) corporation based in Austin, Texas benefiting Well Aware, an organization that provides innovative and sustainable solutions to water scarcity in Africa. Their mission is to drive economic development and to build self-sufficient communities. Our goal is to help make that possible. 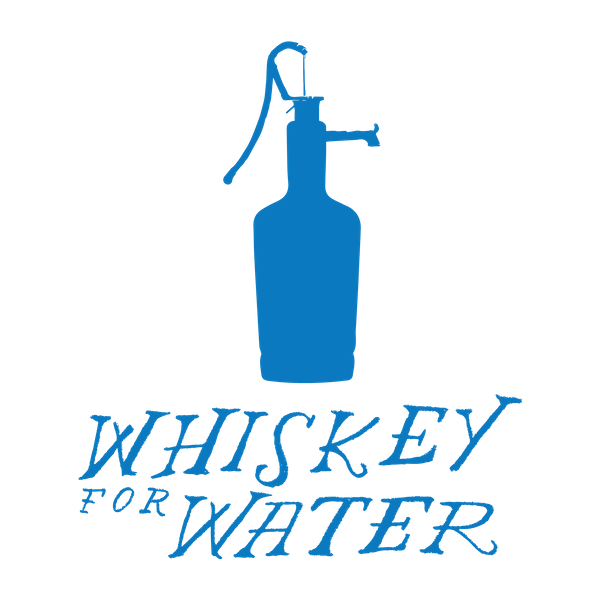 The idea is simple: let’s sip delicious whiskey, so that someone can consistently drink clean water. 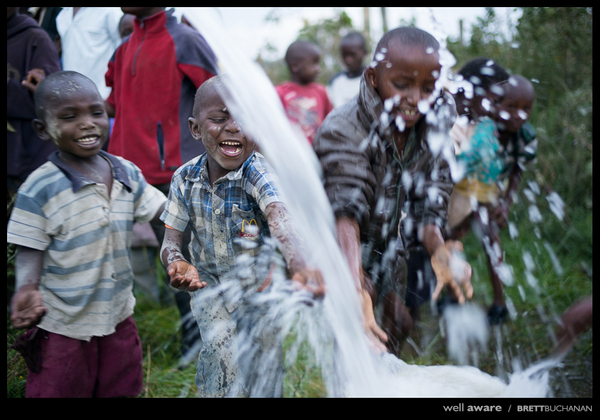 National Geographic Creative Photographer, Greg Davis, shadowed the Work of Well Aware earlier this year in Kenya. Now, those images are featured on their website for Nat Geo editorials. Our Village Just Doubled and So Did Their Donations! For the past two weeks, we have been inviting everyone we know to join our Village. A very special couple offered to match all new memberships we added through yesterday at midnight for the rest of the year and up to $10,000! The response was amazing. We more than doubled our Village members- from 45 to 96- and we exceeded our donations goal and earned the entire match. Sarah, Our Founder, has a Message for You! Click HERE for Sarah's video message! 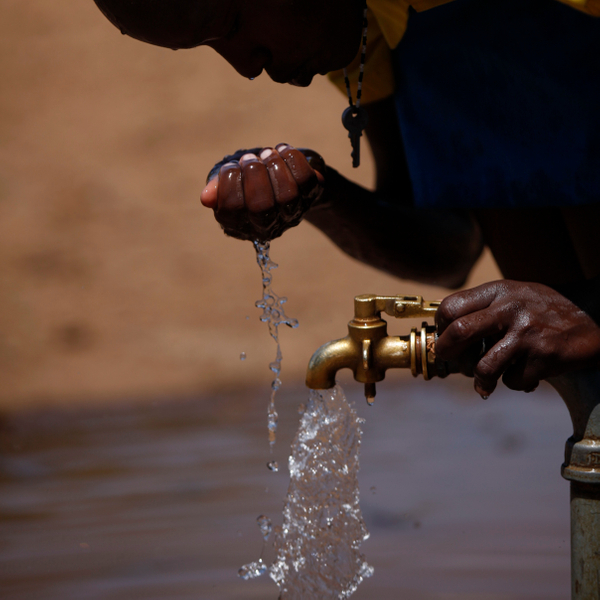 There are 20,000 people in Ndabibi and surrounding areas who once accessed a water well that has broken down. The community was devastated, and the schools, clinic, fish ponds and agriculture that they built and maintained were all but abandoned without water. We are excited to announce that a wonderful donor will be matching all new Village memberships. Anyone who joins The Village by September 30th (or increases their current Village donation) will be matched through the end of the year up to $10,000. 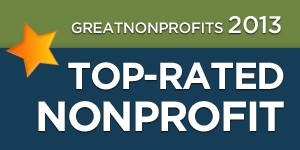 We are truly honored to be among a distinguished few to receive this endorsement from GreatNonprofits. This the third year in a row that our team has achieved this recognition, and we are so very grateful to the many supporters and partners who have made this feat possible. 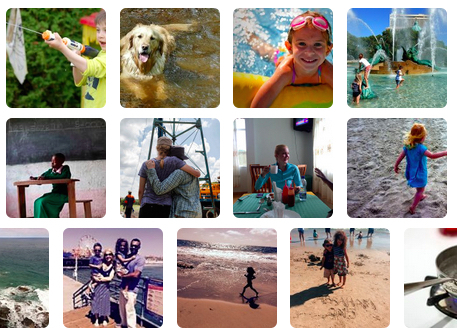 A generous donor will contribute every time someone participates in our #WaterThx Challenge! I’m writing to you personally today to let you know about an adventure and a challenge I will embark on tomorrow. This is a new endeavor for me and for Well Aware, the organization I started almost a decade ago. And I want you- the most valued support of this work- to know more about it. 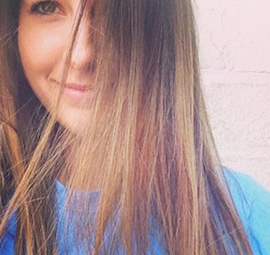 Welcome to the Well Aware family, Kaela Champlin! 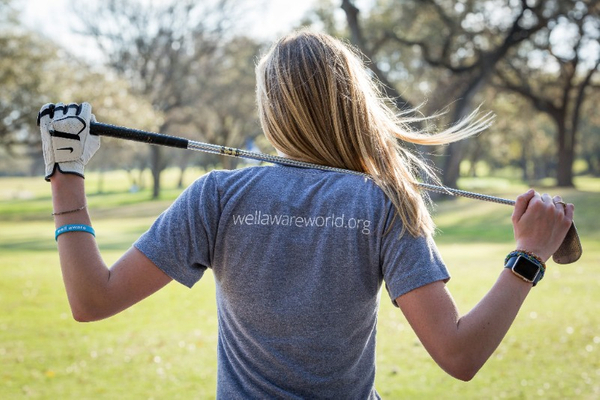 Well Aware has launched an awareness campaign, and we want you to join us! 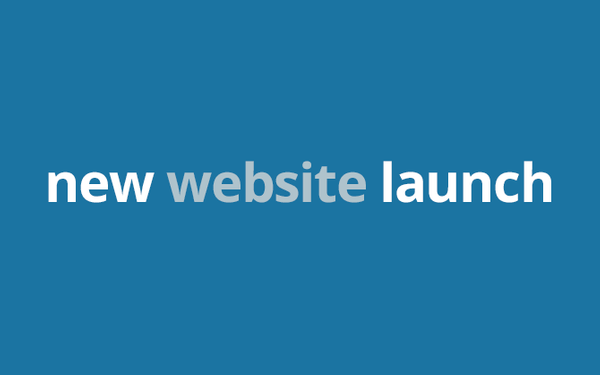 A new crowd-funding platform has selected us for their pilot campaign. 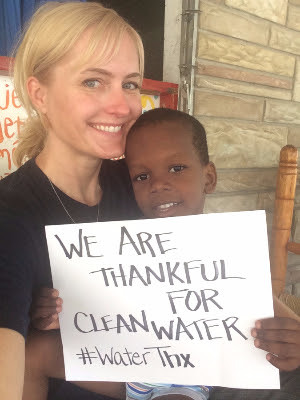 It's called the #WaterThx challenge, and we are asking people to participate by interacting- by posting photos and/or videos of themselves holding a sign "I am thankful for clean water" with the hashtag #WaterThx. Then, just share the campaign and your participation with your social media network. That's it! All of the social media activity for our campaign aggregates on our campaign page. 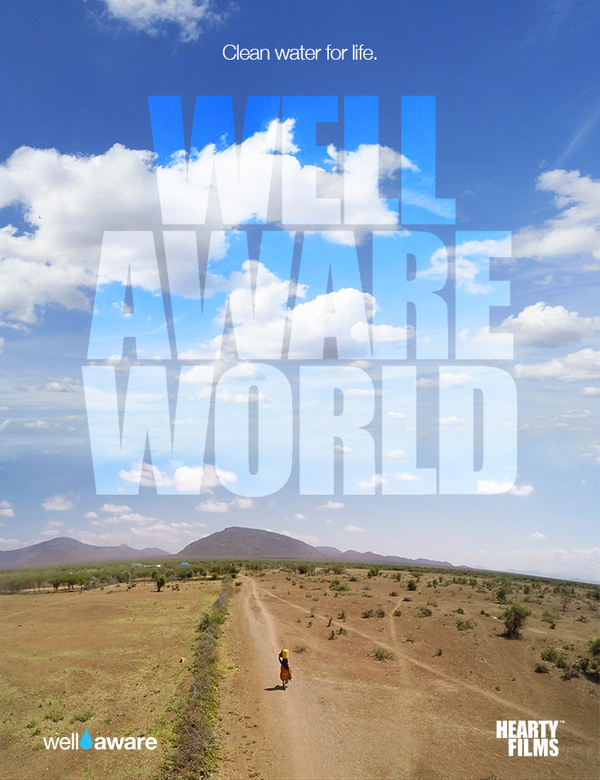 The Well Aware team returned from Kenya last week. It was the most enlightening and inspiring trip I have been on yet- rivaling only the trip on which I witnessed our first water well being drilled five years ago. 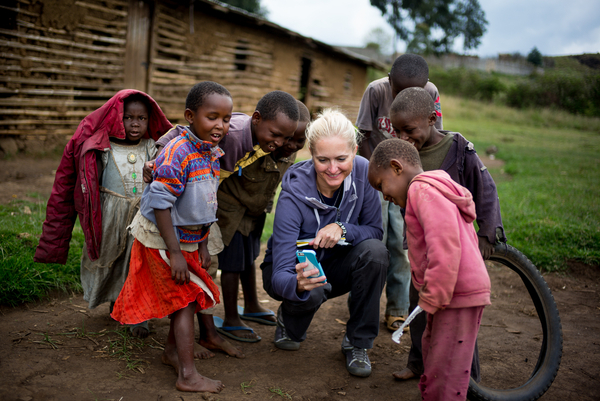 National Geographic Creative Photographer, Greg Davis, traveled with Well Aware to Kenya last month to capture our work. He returned fully inspired by the impact we are making there and has generously committed to donating 20% of the proceeds from online sales from this gallery directly to Well Aware's clean water systems. Whew, what ride! We just completed another successful Shower Strike fundraiser, and we are overflowing with gratitude for everyone who made it a great campaign this year. 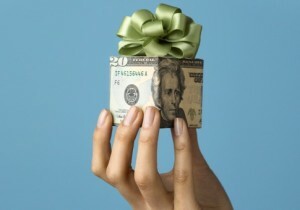 As the executive director of a nonprofit, it’s part of my job to identify effective ways to raise money. Who am I kidding, it’s pretty much all of my job. And, it’s no cakewalk. Asking for money is tough. A colleague told me yesterday that he’s more terrified of fundraising than major surgery. This is an almost ubiquitous fear. As a result of our fierce fundraising phobias, new ways of making “the ask” using online technologies are popping up everywhere. I can hardly believe that we are approaching our annual Shower Strike. 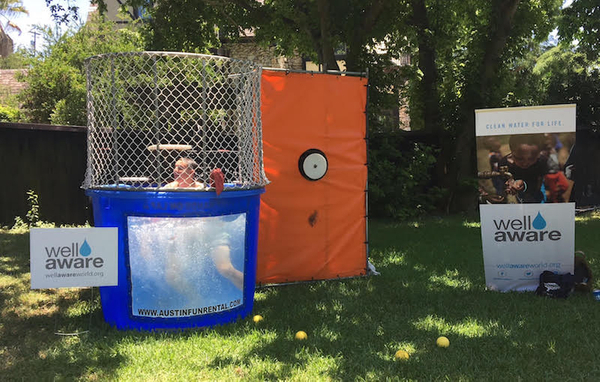 Next month will mark the seventh time a group of brave volunteers have eschewed showering to raise funds and awareness for clean water. Our very first Shower Strike in 2009 raised $25,000 in one week. Last year, we raised $135,000. 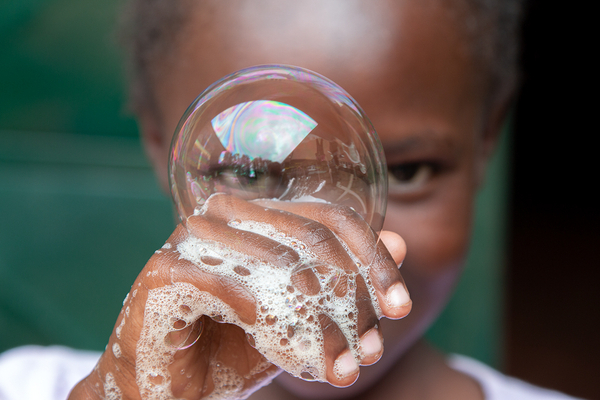 Over the past seven years, through Shower Strike alone, we have provided clean water to more that 40,000 people. When I was first asked to write this guest post, my reaction was basically fear. 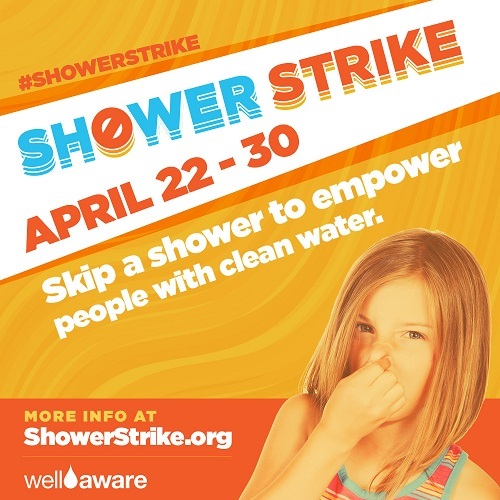 I am a second grade teacher, and don't think of myself as a writer and I want people to be excited about Shower Strike. But the more I thought about it, the more I felt it important to pass along the importance of Shower Strike AND set an example for my students about doing what you don't think you can do. Many of you have seen our 2014 review letter. If you haven’t had a chance to read what Well Aware was able to do last year, you can check it out here. So, I won’t go into detail about the 74,000 people we have been able to provide water to so far… or that 100% of our water systems have been successes when only about 40% of other systems survive. 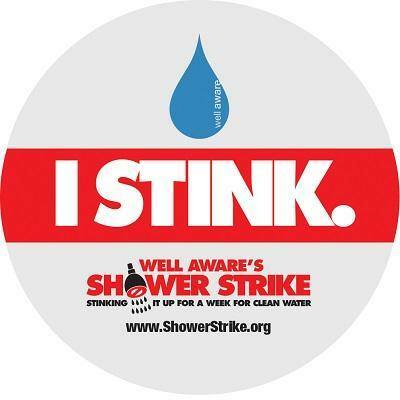 In just three months, Shower Strike will descend on a friend or family member near you. You can't beat them, so join them! 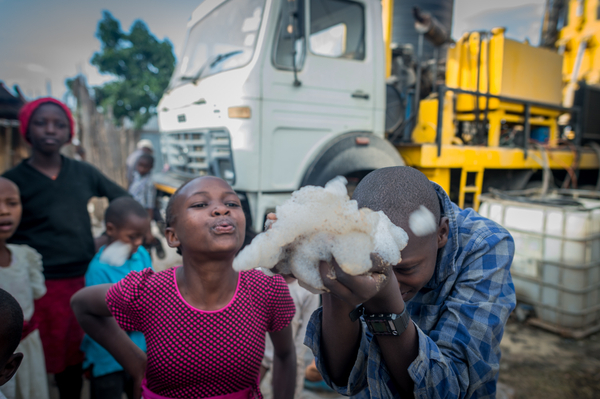 Once a year, volunteers across the globe unite and vow not to shower until they have each raised at least $1,000 toward life-saving water systems in Africa. 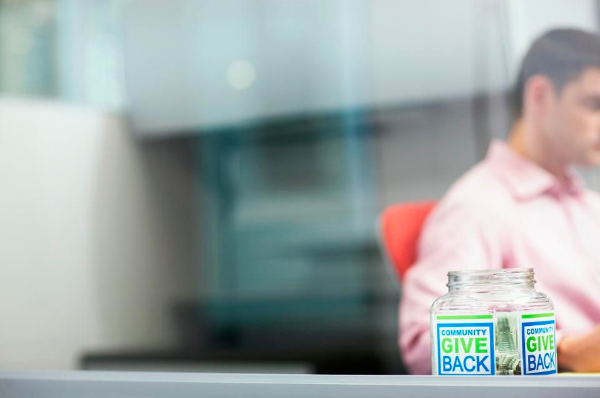 Our nationally-recognized fundraiser enables anyone who wants to help Well Aware’s cause make a big impact in a short time. It is with the most heartfelt gratitude that we write to you today to let you know how thrilled we are that you are a part of our water-giving family. Without you, we would not have been able to provide clean and lasting water to another 39,000 people this year. 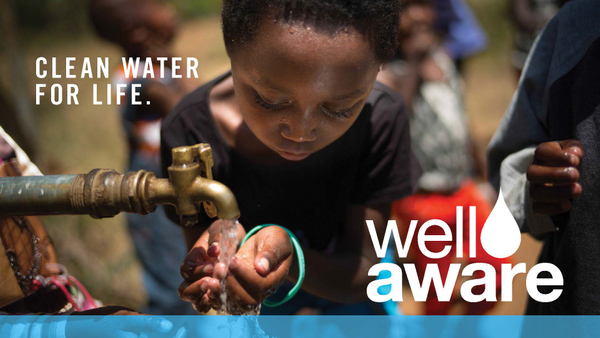 With your help this year, Well Aware is now able to provide clean and lasting water to one person for decades for just $9.13. That's less than half of the industry average. AND, 100% of our water systems work and provide big impact (the industry average is 40%). Thank you for making this possible. Fa La La Laa, La La La La La! 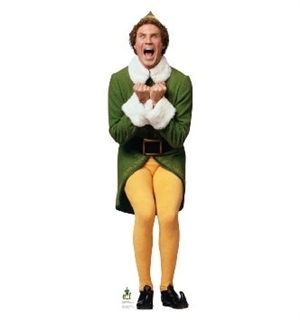 Maybe you aren't as excited for the holiday season as I am, but you should be! This season is the perfect opportunity to recognize what we have and share that with others! As you finish up your holiday shopping, we have several fun opportunities for you to spread love, joy, and life-saving water this year! 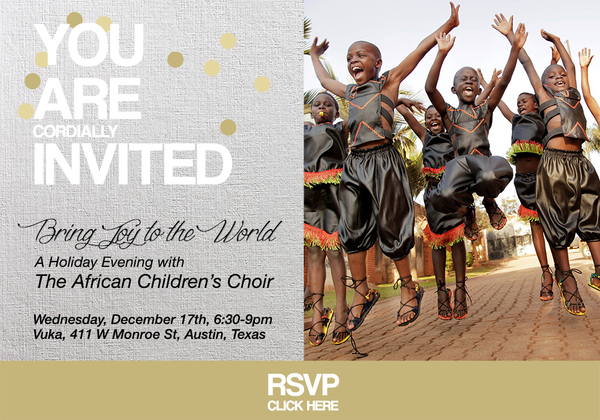 Please join us for a very special evening with the African Children's Choir! 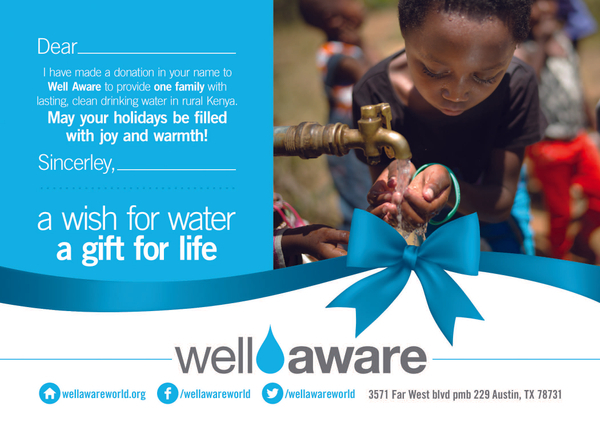 We are so excited to host eighteen amazing children from Uganda who will perform a selection of holiday music as a benefit for Well Aware's clean water projects in 2015. Come and enjoy hor d'oeurvres, craft some holiday cards for our community partners in Kenya, and snap a photo of you and your friends at our fun photo station! This is truly going to be a beautiful holiday event that you will not want to skip! Since I keep getting asked what I think of the ALS Ice Bucket Challenge, given my profession in providing water to places that have none, I thought this would be a great outlet to provide my answer. My thoughts probably aren’t what you’re thinking. 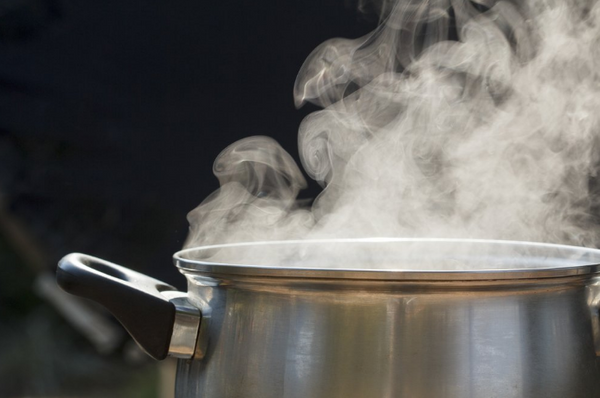 It’s great the ALSA stunt has more and more people talking about water scarcity and water related struggles (in their criticism of the ALS fundraiser), but the Ice Bucket Challenge has about as much to do with water waste as weeding your garden has to do with deforestation. 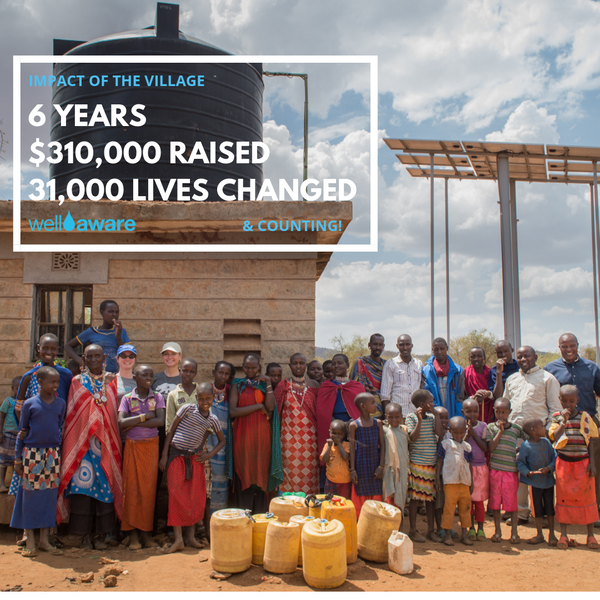 The Village is vital to Well Aware's clean water mission, and we are excited to announce that Innovative Computing Systems has offered to match all new Village donations for the upcoming year. (Up to $6,000) Example: Join The Village for $50/month, which equates to $600/year. Our donor will match your year of donations at $600. But you must enroll by August 15th! I mentioned in a previous blog how much deeper my passion for clean water became after the birth of my daughter. But, I didn’t spend much time explaining that sentiment then and wanted to dedicate an entire post to it, since it’s so critical to my work – and so important that others understand this human disparity. Well Aware has been bubbling over with activity and progress. Because of the incredible outpouring of support for Shower Strike in March, we raised over $135,000 for our life-saving clean water systems. 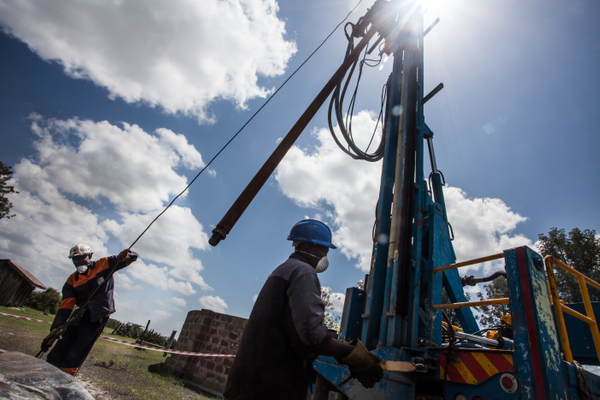 Your contributions have allowed us to make incredible progress on multiple projects across Kenya. The past months have also been filled with team training, further project planning and community building. Having worked in nonprofit for almost eight years now, I’m soberly aware of some problems in this industry. Well Aware makes every effort to be accountable, transparent, and lean. But, not all charities make the same efforts. Shower Strikers from many parts of the world joined together and vowed not to shower to raise funds for clean water for those who have none. 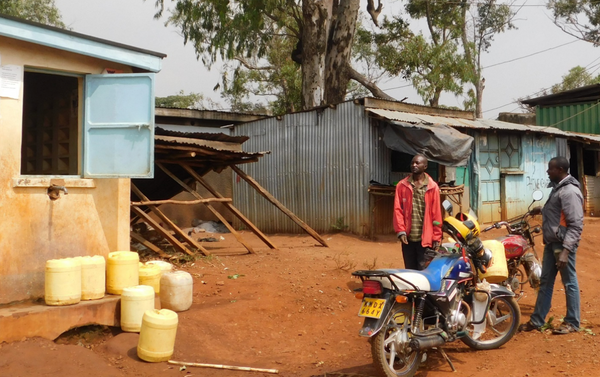 Launching on World Water Day, March 22nd, more that 150 people said they are going to stop showering until they raised their goal amounts to build clean water systems in rural Kenya. I have watched this video several times now and I cry every time I watch it, not because it is sad, but because I can feel the hope and future that clean water brings to those who have none. 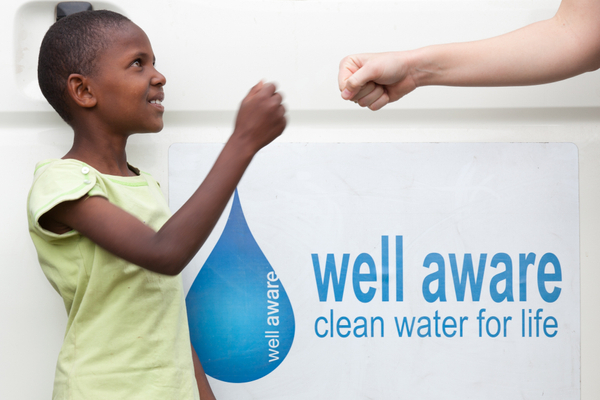 It's difficult to convey the emotion everyone feels when communities finally have clean water. But, photojournalist, Brett Buchanan, has done a beautiful job creating a visual story for us with this video he made. And I ask, please watch the entire video to the end, I know you'll be glad you did. We are thrilled to announce that a very special donor will contribute $10,000 TODAY towards Shower Strike if we can collectively raise $10,000 before midnight tonight. That could mean at least $20,000 raised in one day for clean water! If you were going to contribute or ask for donations, now is the time! 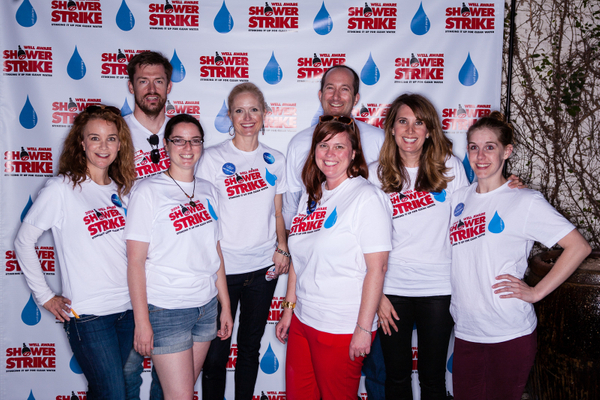 Great Launch Event for Shower Strike 2014! 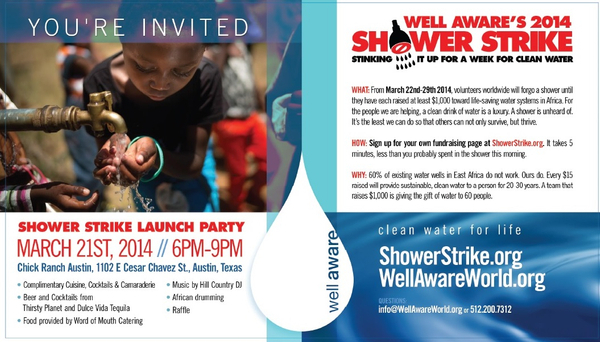 We're getting ready for our 6th annual Shower Strike Launch Party & World Water Day event in Austin next week. EVERYONE is welcome, as we celebrate changing communities in Africa with access to clean water and kick off another Shower Strike to raise funds and awareness for this cause. Admission is free. 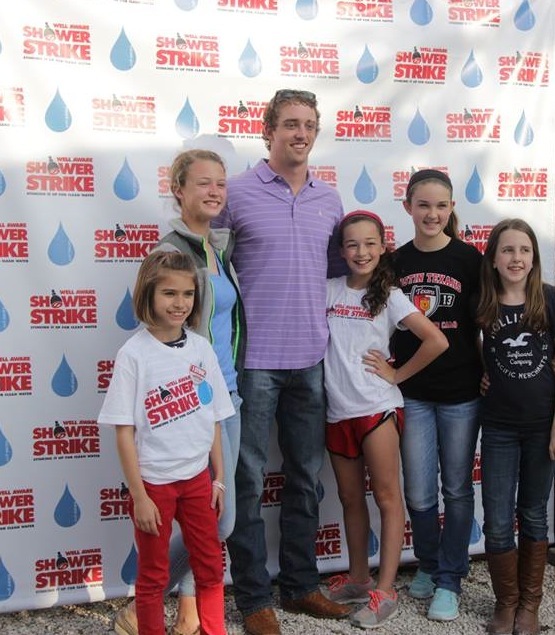 We are thrilled to announce the water systems that we will make a reality with your support of Shower Strike 2014. All of us here at Well Aware are deeply honored to be working in these communities and with these exceptional partners. Welcome to the Well Aware family, Emining, Exrock and Nyakio. See how these projects will transform communities below, and please help us spread the word about Shower Strike and how much impact we can make together! 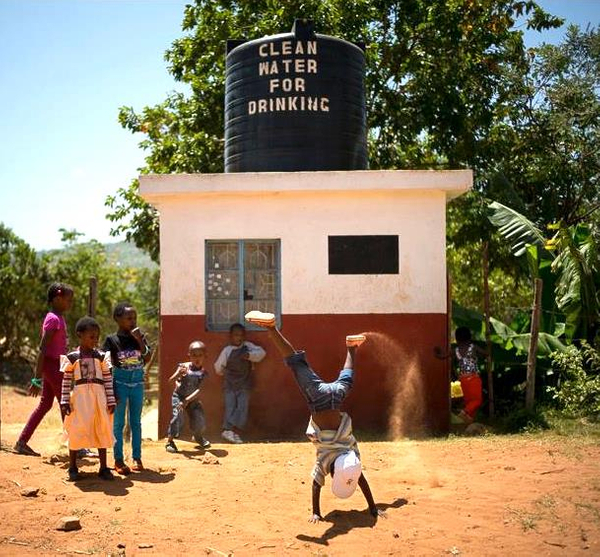 Get Dirty for Clean Water! It's that time of year again... when people everywhere will stop showering to raise funds and awareness for clean water for those who have none! We're so proud of Bob Shuler and so grateful for his sacrifice for the lives of others! Watch Bob's interview that aired on KTBC FOX Austin. 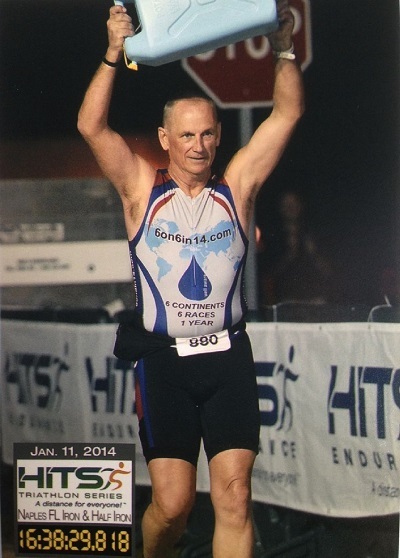 Read more about Bob's challenge and story below and click here to donate to his campaign. Our team returned from Mithini, Kenya last week, and we were overjoyed by the progress they have made there! We installed a water well there two years ago, and they look like a different community today. When we first arrived in Mithini in 2011, we found a small shack on the dirt with nine sick orphans. The makeshift orphanage was also surrounded by a community devastated by lack of clean water, and everyone in the area was drinking dirty water from collection on the side of the hill. All of the children were sick with ring worm, and the majority had malaria or typhoid. 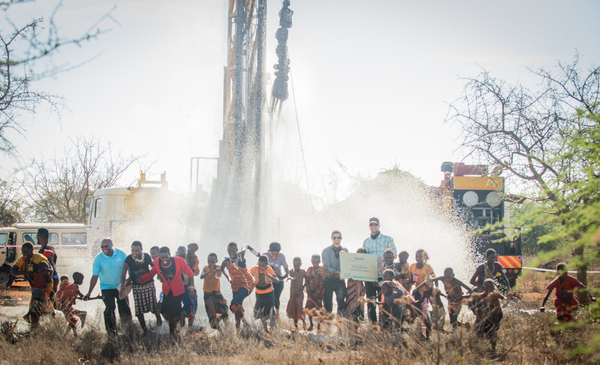 School Water System Celebration in Ndatani! 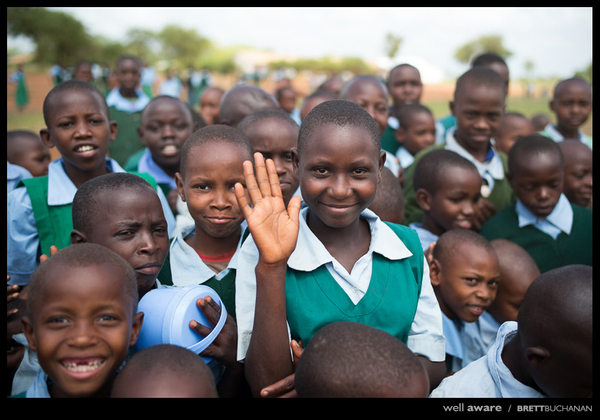 The Well Aware team was able to visit one of our completed water wells in Ndatani, Kenya yesterday, and it was a great time! We were able to tour the school again and assess all of their amazing progress since their water well was completed last Summer. Ndatani is our first reverse osmosis purification project, and the team there is thriving with their new technology. 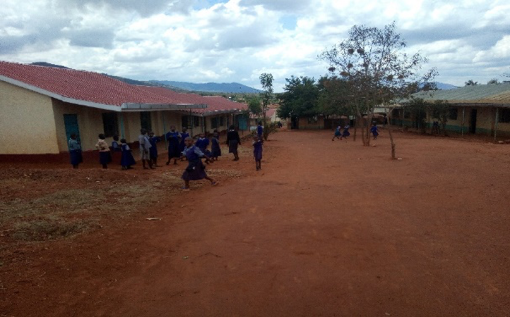 The primary and secondary schools in Ndatani are all healthy now, and they already have greater attendance. They are also growing beautiful crops of kale and tomatoes for their lunches. 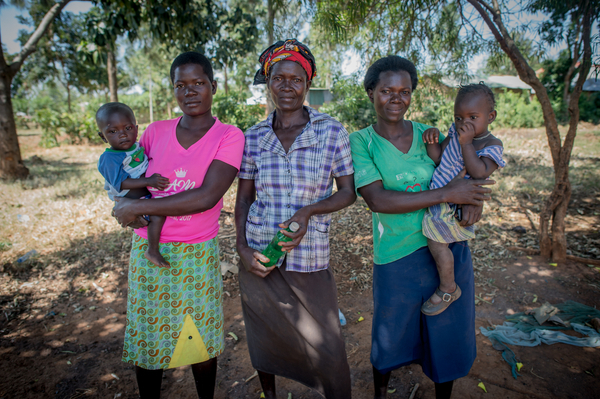 I live in a village called Karera and we do not have water, the only borehole is broken down. 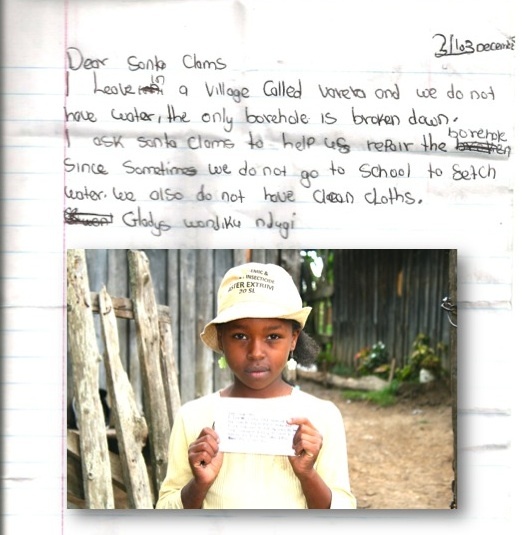 I ask Santa Claus to help us repair the borehole since sometimes we don't go to school to fetch water. We also do not have clean clothes." “I didn’t know it would become something I would devote my life to,” Evans says. But that first trip to Kenya changed everything. 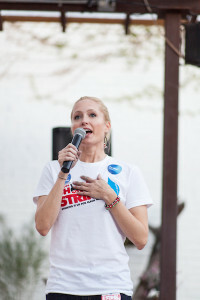 Evans adds that she felt a lot of pain when she was in Kenya that first time. 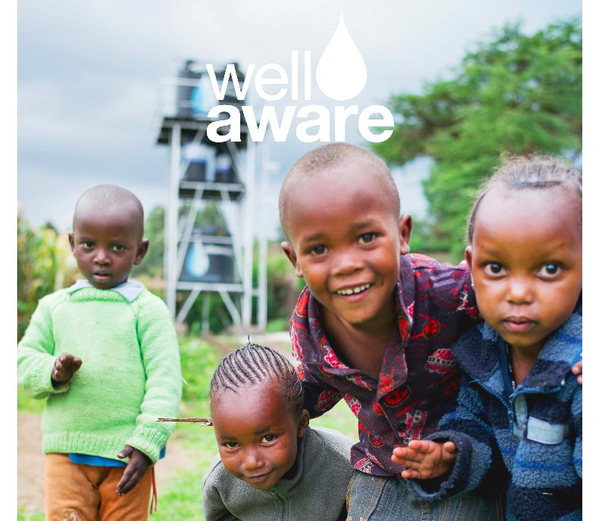 Well Aware has just announced our new R3 Initiative to rehab existing, non-operational wells in Africa. Since 60% of wells that other groups have installed don't work, we're initiating a program to recycle abandoned equipment, renew water systems, and revitalize communities. 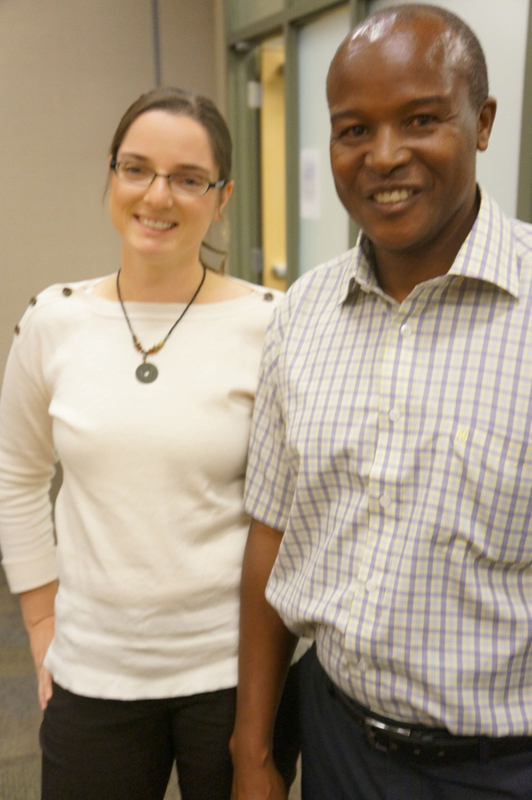 Well Aware's field manager & dear friend, Mike Mutuku, is in town for events and meetings planned around our Fall activities and 2014 project planning. We are so honored to host him here (as he is usually hosting us in Kenya), and it's already been a very busy few days. We first met Mike in January, 2010, when he was our dedicated driver & chaperone on our first trip to Kenya to implement our very first water well. Mike has since become fully committed to our organization and devotes most of his time to our work in his home country. As we make plans to expand our presence in east Africa, we set to mapping all of the projects we have already completed. 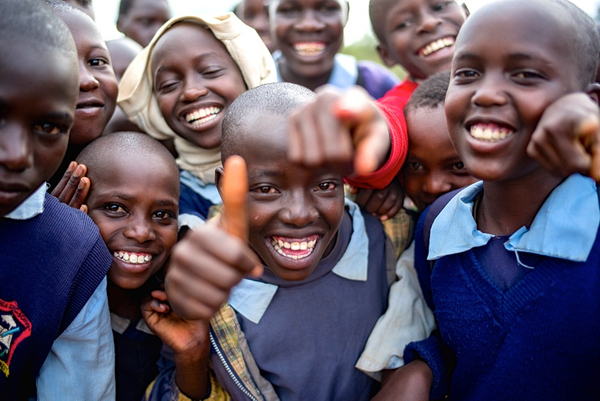 It's been a great exercise to look back on our work throughout Kenya, and reflect on how we have evolved and the incredible education we have received from our partner communities. Thank you to everyone who has helped us build our foundation of sustainable water infrastructure. To read more about each of our projects, check out our projects page. TheTop-Rated GreatNonprofits award is based on positive online reviews, and Well Aware was named one of the first recipients yesterday. We are honored to receive this prestigious recognition by GreatNonprofits, the leading provider of user reviews about nonprofit organizations. 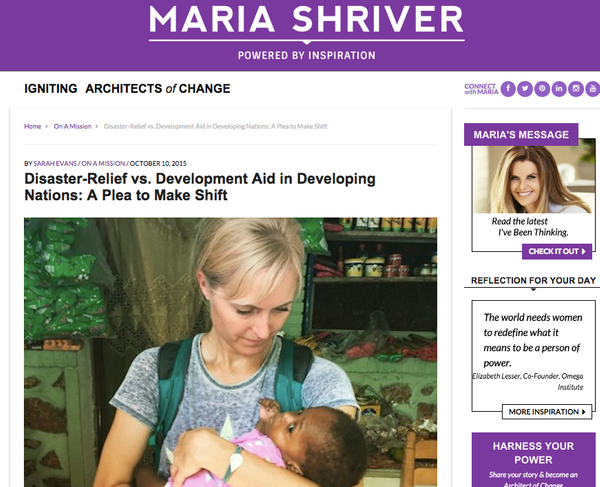 Maria Shriver has featured an essay written by Well Aware co-founder and Executive Director, Sarah Evans, about what fuels her passion and drive to provide others with clean and lasting water for life and the sacrifices she has made to further this work. We invite you to join us on the journey of a lifetime in August 2014. You can travel for a cause with Well Aware and experience our sustainable clean water projects, volunteer with the local communities, and see wildlife like you have never dreamed. 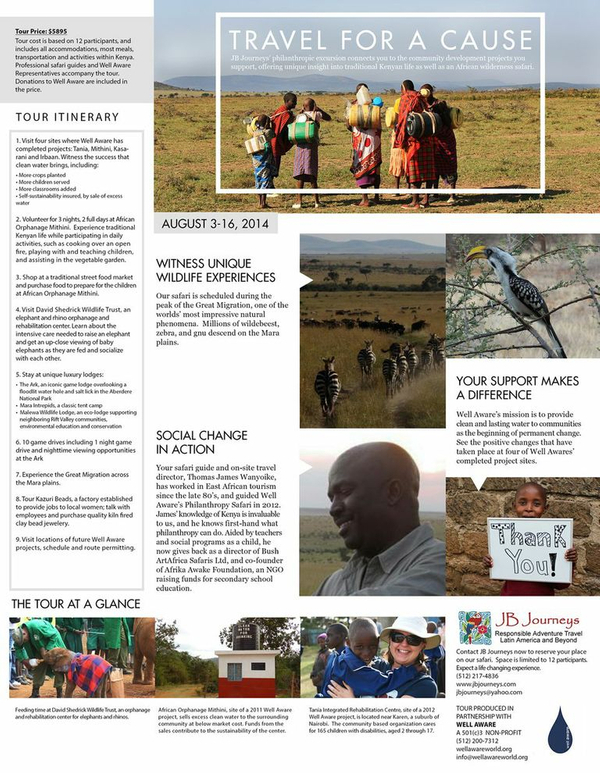 JB Journeys has combining meaningful work in rural Kenya with incredible safari adventures in our 2014 "voluntourism" experience. 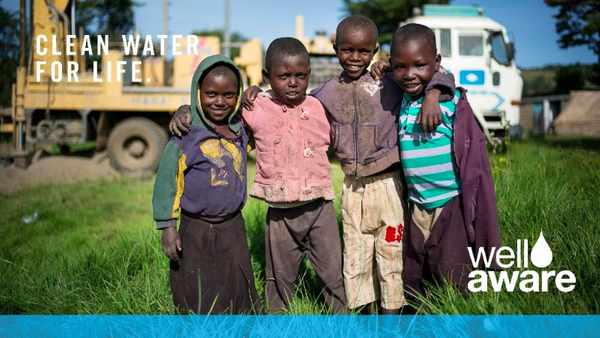 Thanks to our amazing supporters, Well Aware met our triple match challenge in less than two weeks, so now an additional $15,000 will be provided for our clean water projects in Africa. Please Know that our gratitude runs deep - we truly can't do what we do without your support. Thank you again to our incredible match donors, Sami Cassis & Lorraine Thirion. Well Aware has a full slate of events this fall. Be on the lookout for upcoming announcements and dates. We look forward to seeing you! We have older blogs that will be archived here soon, but in the mean time, we hope you enjoy our new content.